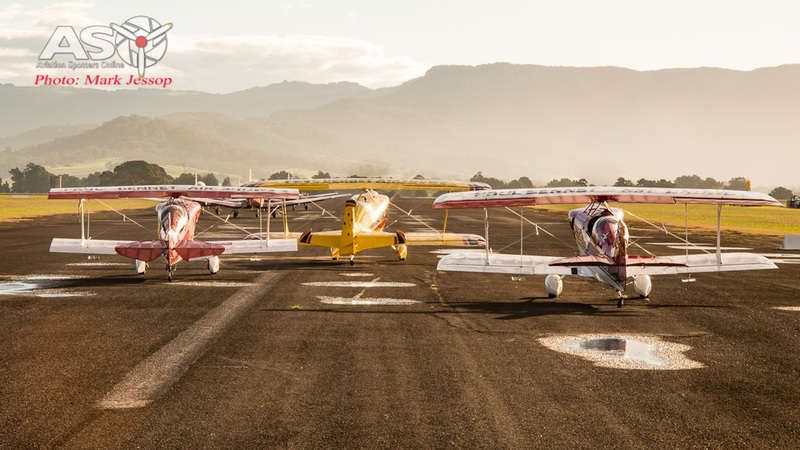 Hopes were high for this year’s Wings Over Illawarra show, held at Albion Park over the weekend of the 30th April / 01st May, after an unfortunate run of poor weather for the past two shows. 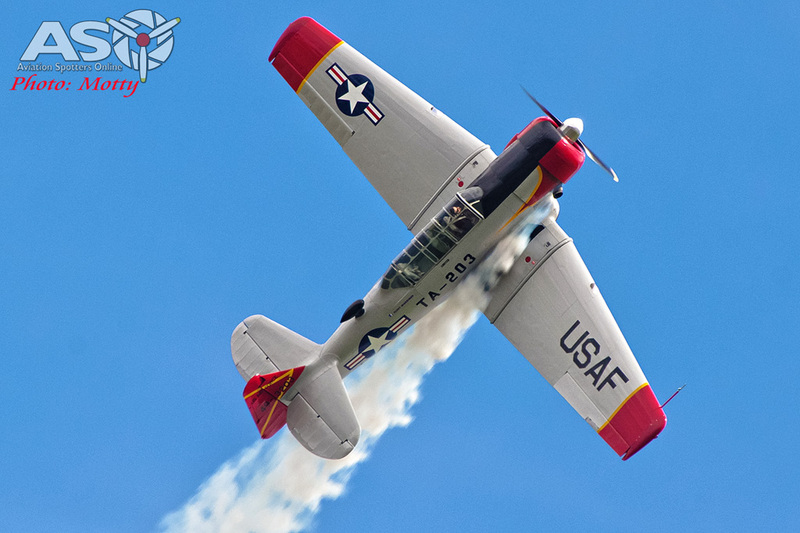 This was the third year that the airshow had been planned and organized by Mark and Kerry Bright, of Bright Events, but 2014 had been plagued by gale force winds while last year’s show had to be cancelled after drenching rain in the week leading up to the weekend. 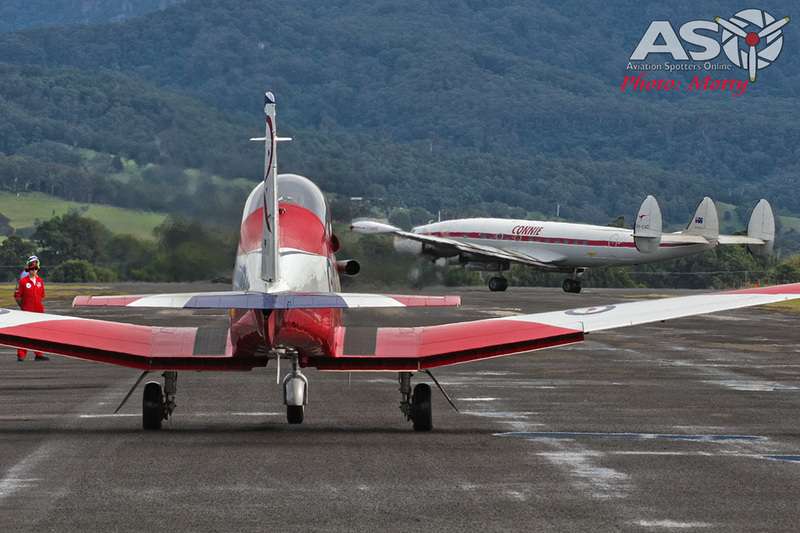 Wings Over Illawarra crowds were treated to the unique sight of the RAAF Roulettes in formation with “Connie”. 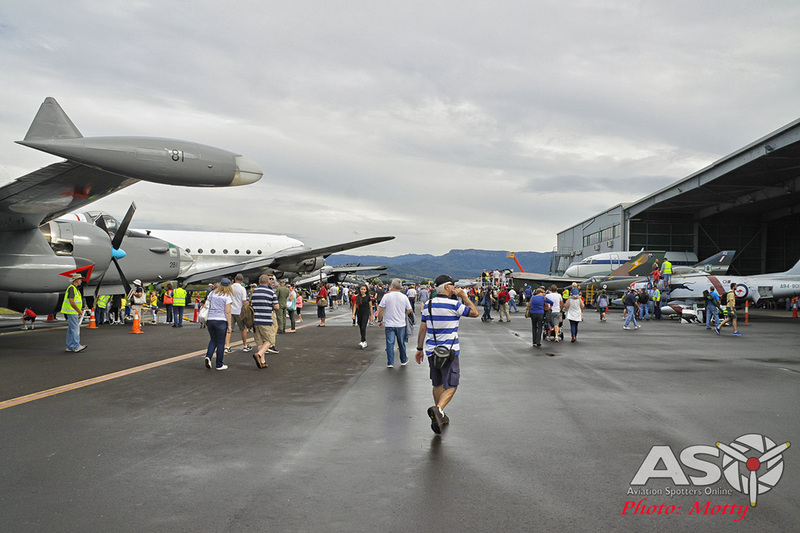 Thankfully for everyone involved, while the weather wasn’t perfect, it didn’t prevent the show from going ahead and whether it was the classic warbirds and historic machines, the incredible gyrations of Australia’s leading aerobats, or the might of Australia’s frontline air power, there was something for everyone. 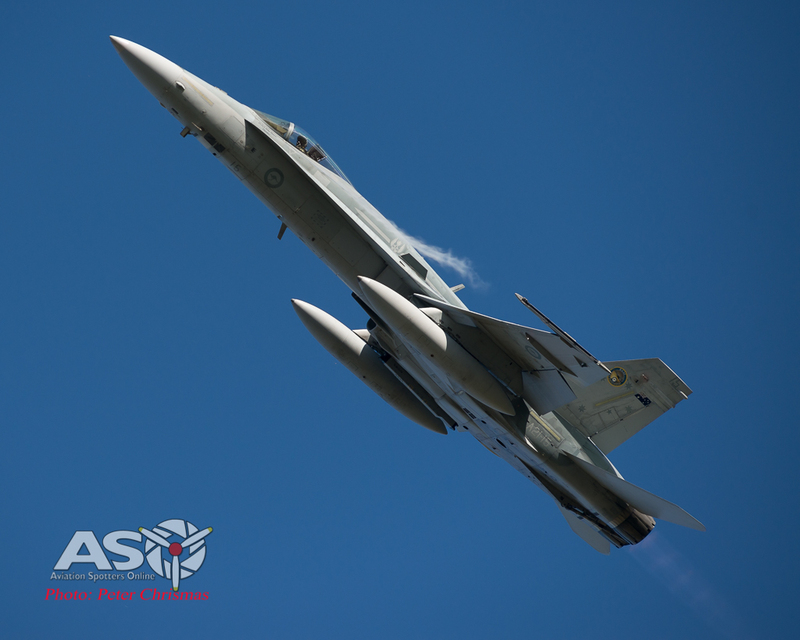 The RAAF’s F/A-18 Hornet pulls the moisture from the air on a high speed pass. 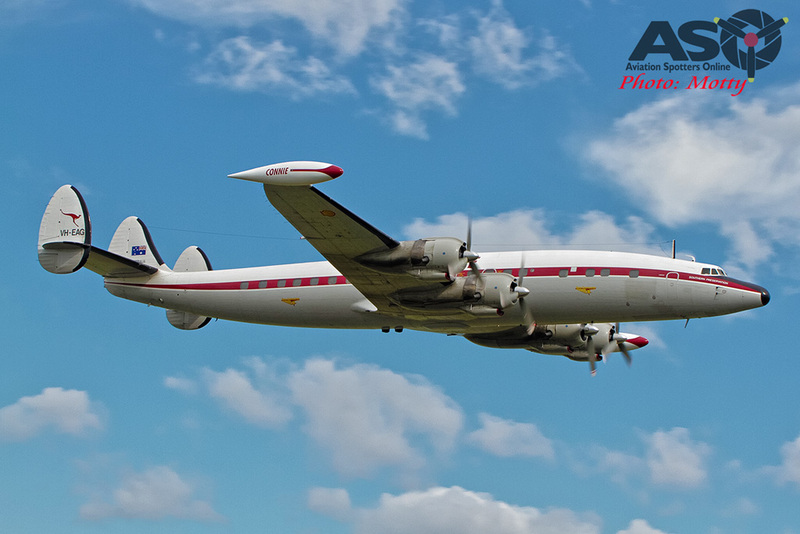 Early attendees on the Friday afternoon were treated to the spectacle of an evening flight by the Historic Aircraft Restoration Society’s (HARS’) Super Constellation, affectionately known as “Connie”. 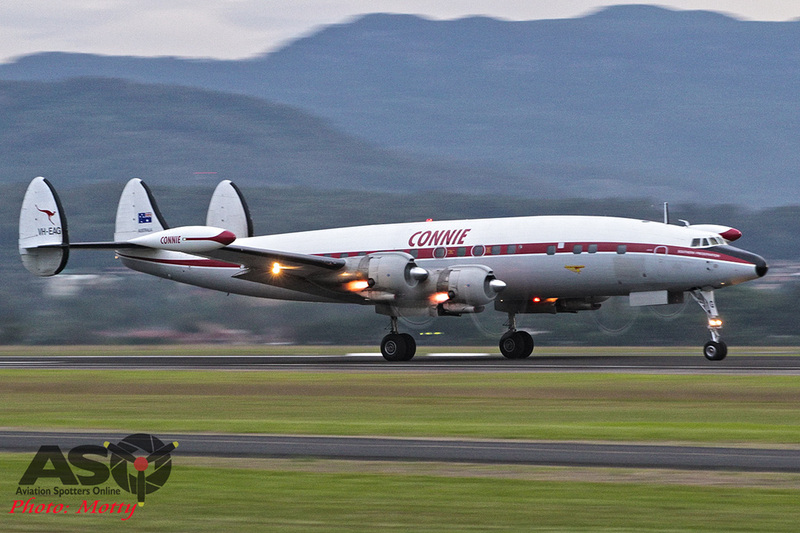 For those (like myself) who haven’t had the chance to see Connie make an evening flight before, it’s a spectacular event as, even from engine start, the huge Wright R3350 engines belch smoke and flame and, on take-off, the exhausts of all four engines are red hot and spitting fire. 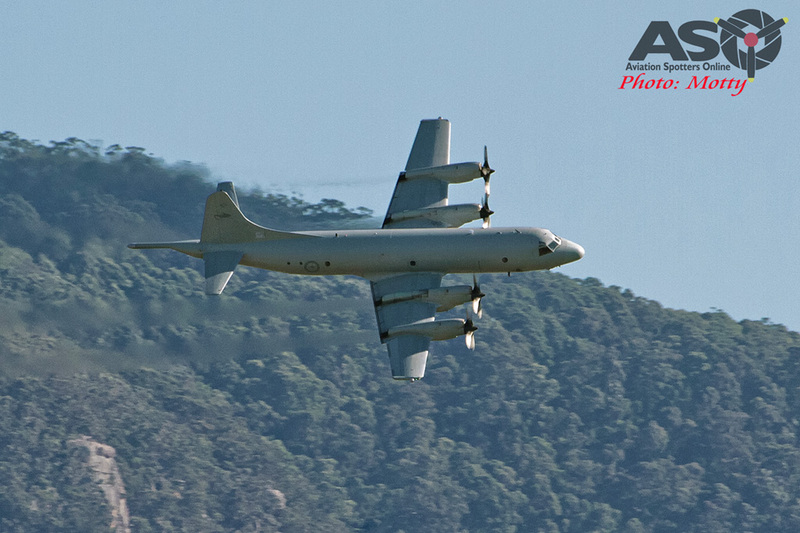 Who said afterburners are only for jets? 😉 And, of course, it’s all in the incredibly graceful form of a Constellation, so what’s not to love? 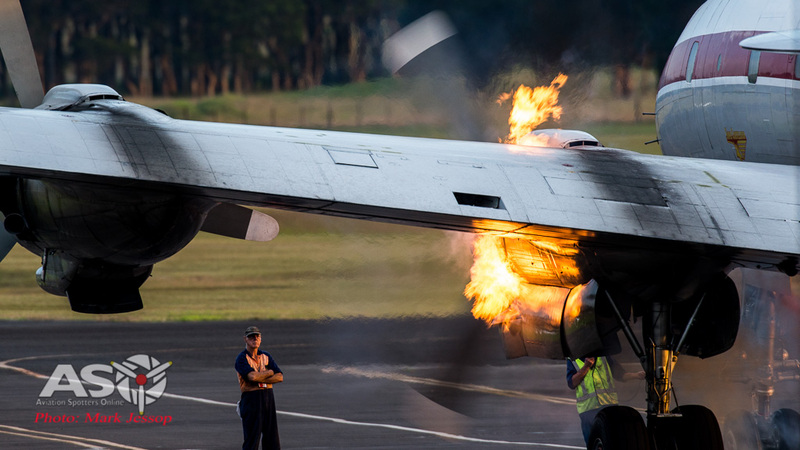 The Connie firing up, literally! 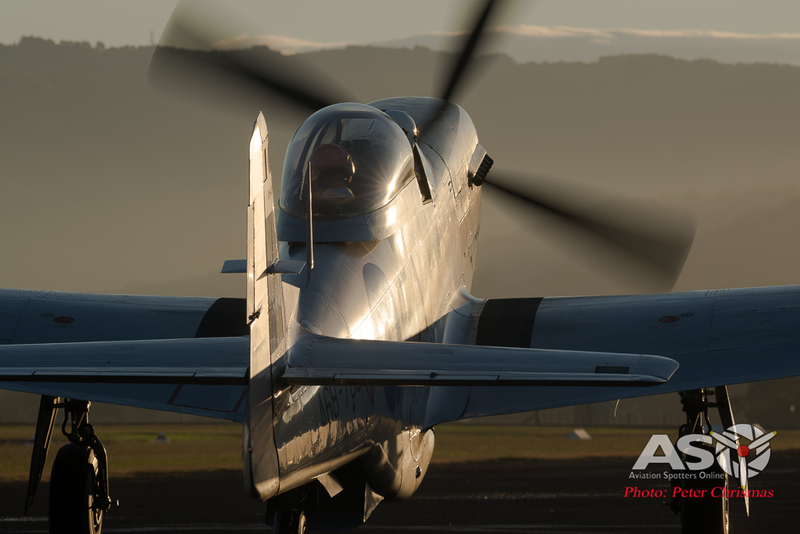 Mark Hall, Geoff Kubank, Roger Hendry, Matt Hall and the team from Mustang Flights Australia were also there on Friday, already taking a few lucky patrons for the rides of their lives, and the sight (and sound) of this classic warbird in the evening light was glorious. 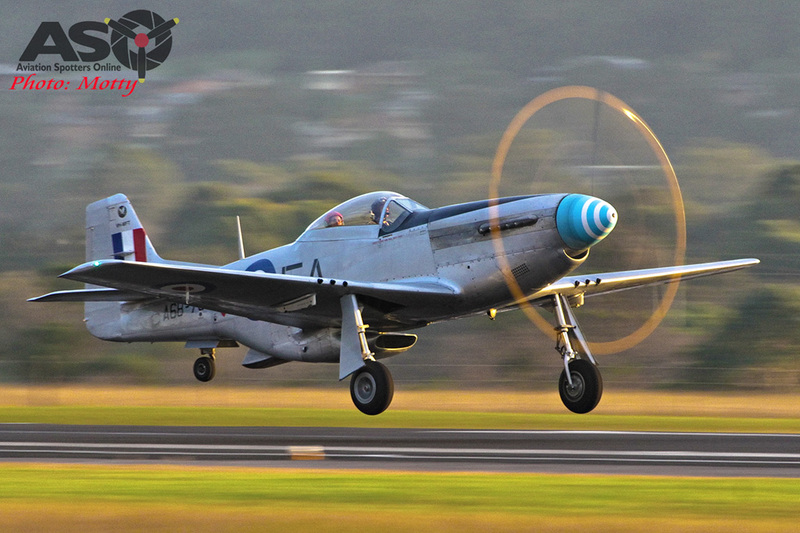 Mustang Flights Australia’s machine gets airborne in the evening light on Friday. 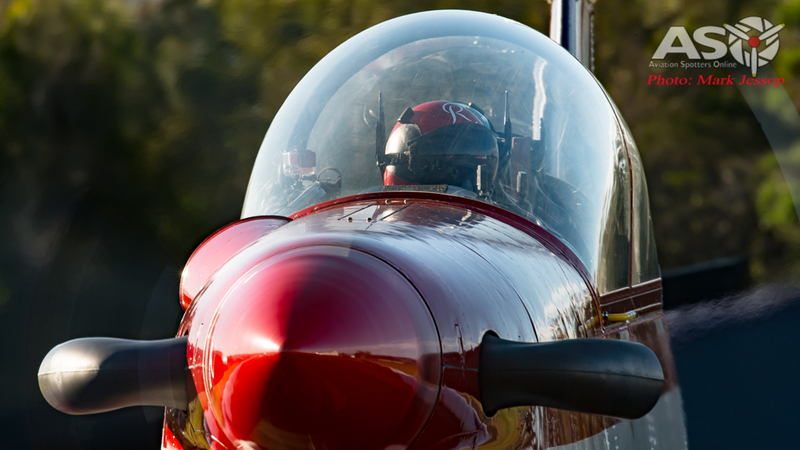 The RAAF Roulettes practiced their formation with the Constellation on Friday evening. 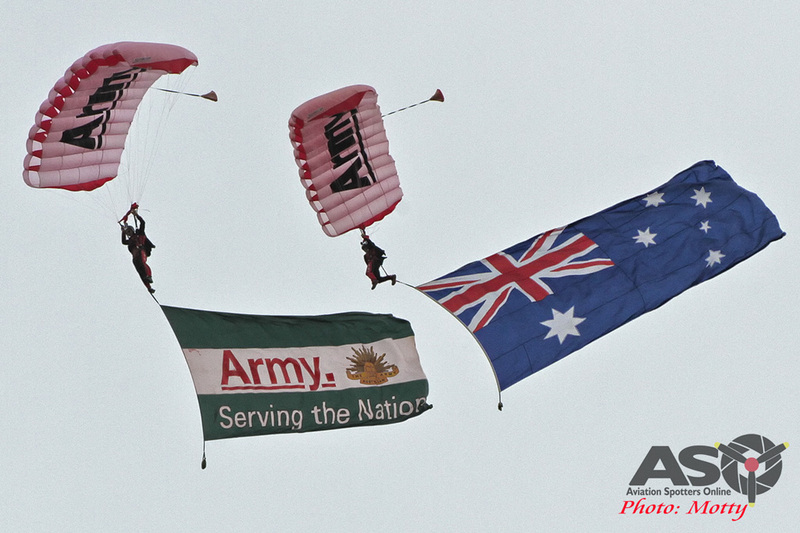 Saturday dawned overcast and a little wet, but with the promise of clearing conditions throughout the day and the show opened with the spectacle of the Australian Army’s Red Berets parachute display team jumping from one of HARS’ Caribou with the Australian and Army flags on show. A little light rain on Saturday Morning. On target. 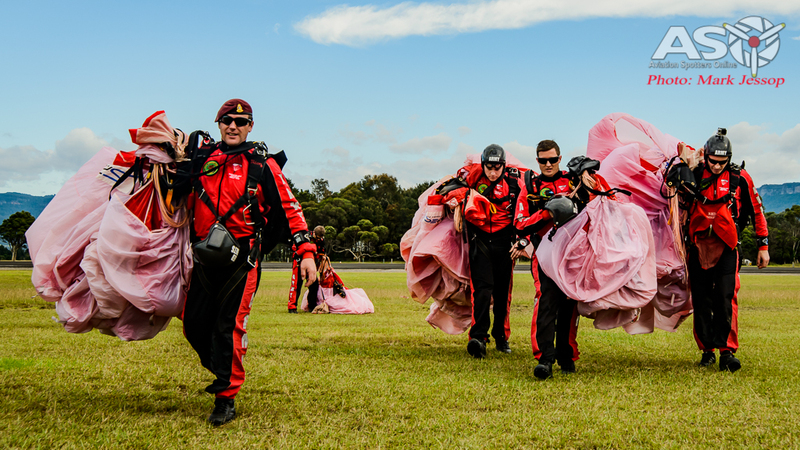 One of the Red Berets just moments from touchdown. 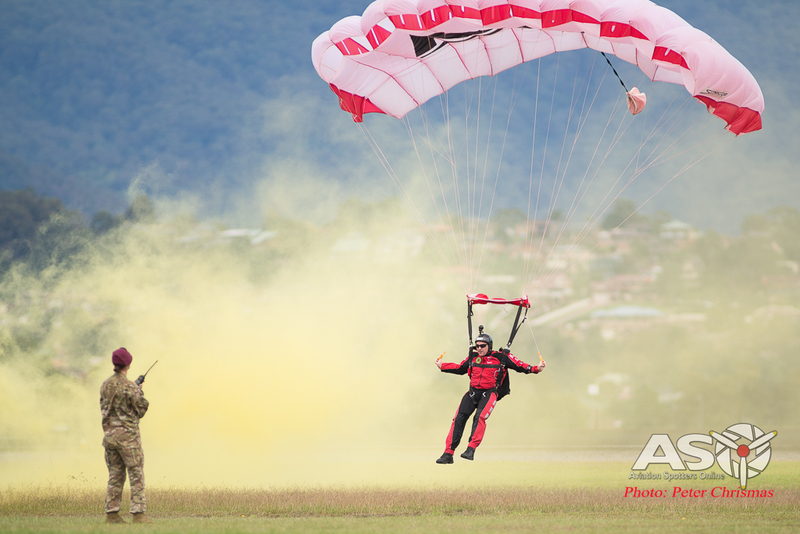 The Army’s Red Berets head back after a great display. 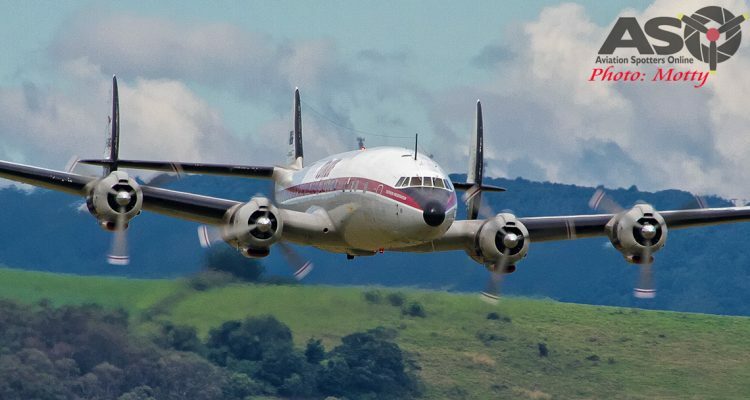 This was followed by a flyover of the RAAF Roulettes in company with the Super Constellation, the first time this had been seen in Australia, with the formation approaching from the east, behind the crowd, and overflying the field. 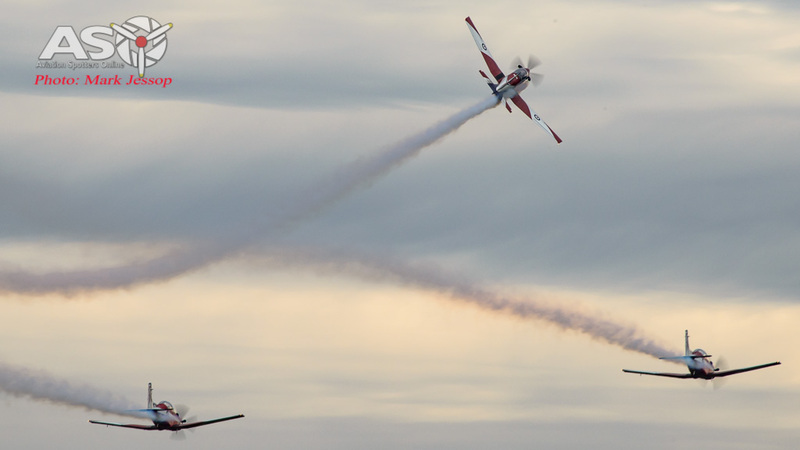 The Roulettes peeled off and Connie’s crew of Ross Kelly, Bob Delahunty and Reg Darwell brought her around for a few passes to give us all a chance to admire those beautiful lines and the sound of those four huge radial engines before Doug Haywood, Rod Holzwart and Leigh Peddell returned in the Caribou, used earlier for the Red Berets drop, for a short handling display, including an impressive demonstration of the ‘Bou’s short landing and take-off abilities. 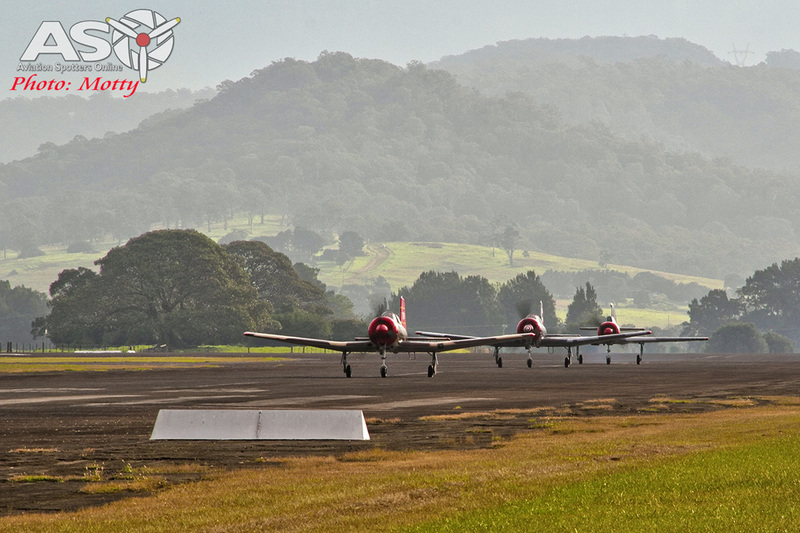 The Roulettes and Constellation head out for their combined flypast. 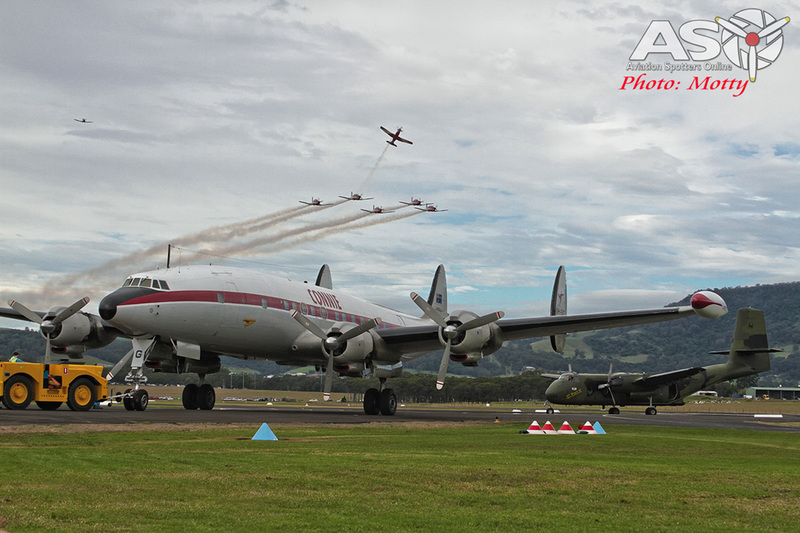 Super Constellation in formation with the Roulettes. 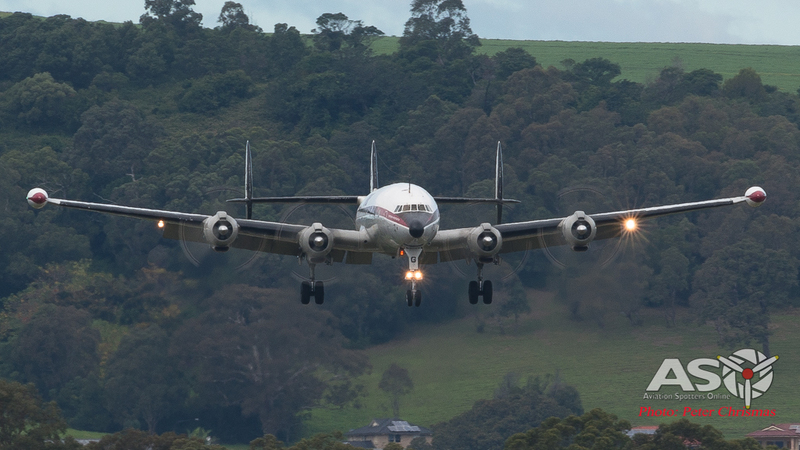 The incredible power of Connie’s four huge radial engines. 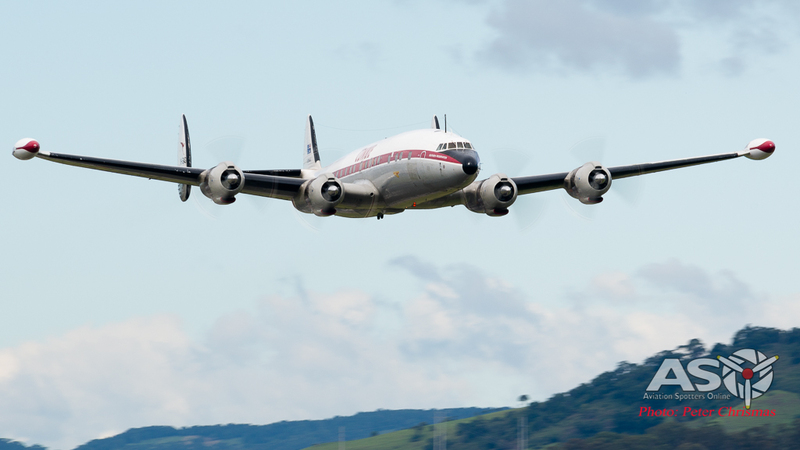 The unmistakable and graceful lines of the Lockheed Super Constellation. 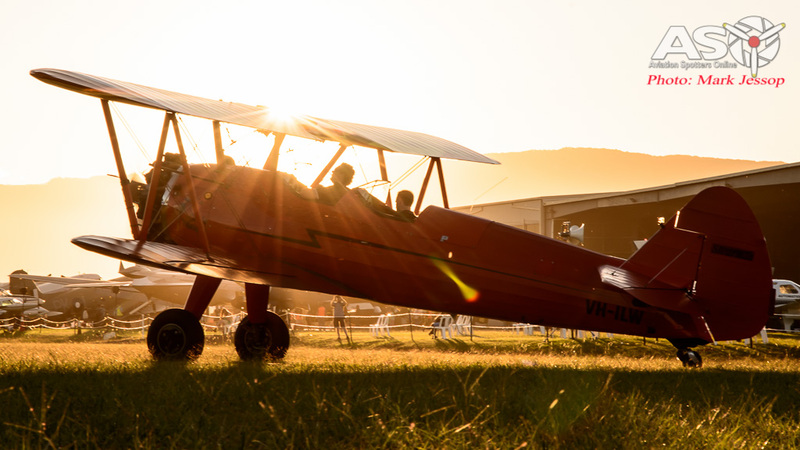 Caribou warming up before takeoff. Caribou climbs out following an impressive short landing and takeoff. 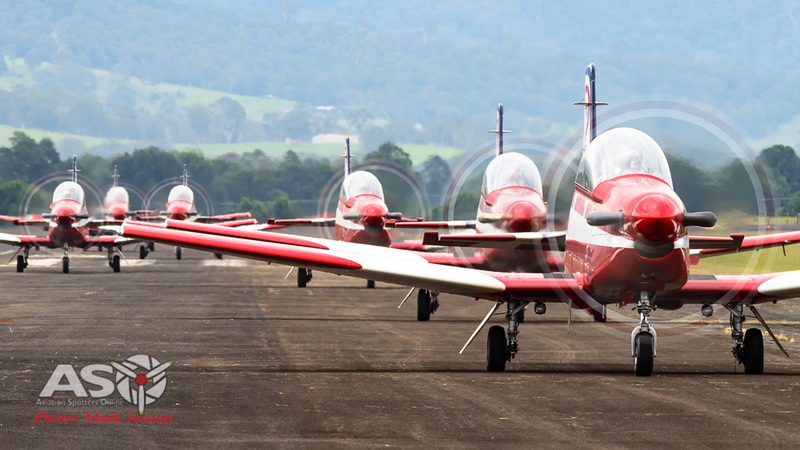 The RAAF Roulettes return after the Connie and ‘Bou displays. 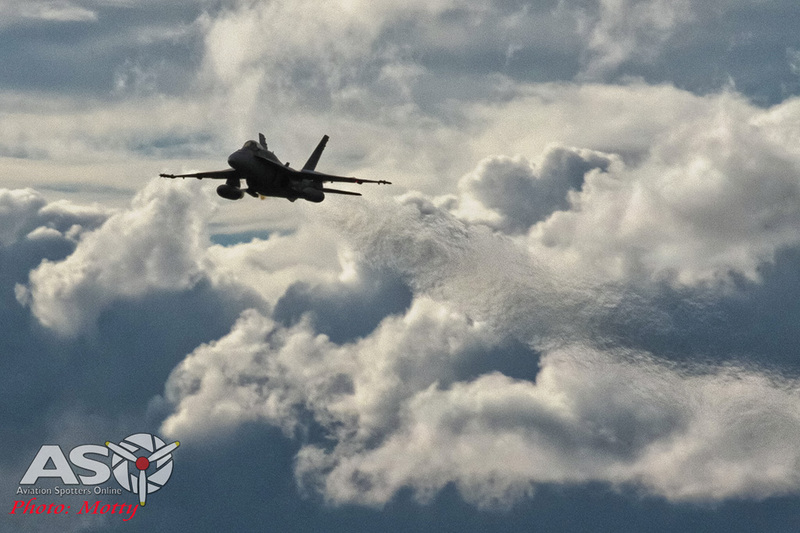 The day continued with one great display after another. 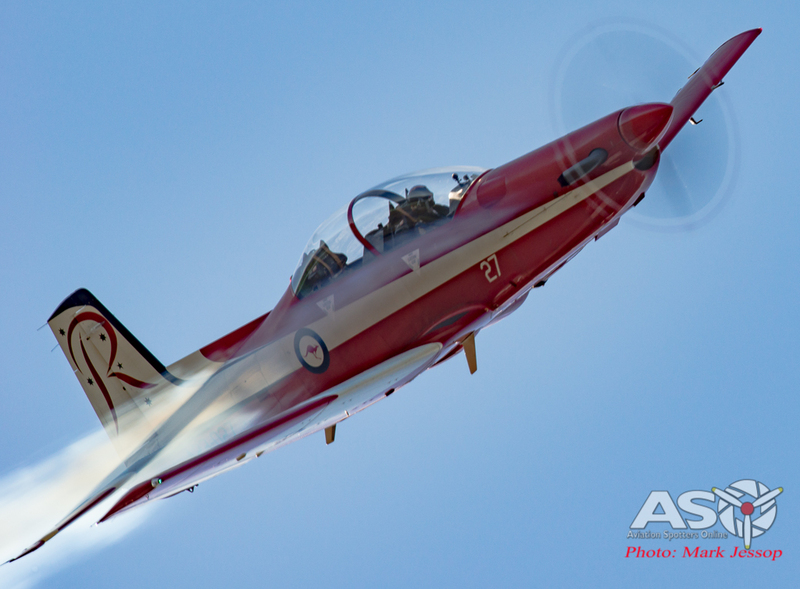 Matt Hall in Mustang Flights Australia’s CAC-18, Chad Dunn in Combat Dragon’s A-37 Dragonfly, Chris Clark in his Stearman, Paul Bennet in his T-28 Trojan, Jeff Trappett in his Mustang, Steve Death and Matt Denning in the Spitfire Mk VIII and Boomerang from Temora, Glenn Collins in Paul Bennet’s Wirraway, Niall Higgins , Egon Mahr, ,Jim Eaglen ,Sean Treastrail, Alan Pickering and Tim Windsor of the Russian Roolettes in their Yak-52s and Nanchang CJ-6s, Paul Bennet in his Wolf Pitts Pro, Tim Dugan in Fleet Warbirds’ T-6 Texan, Paul Bennet in his Grumman Avenger, Matt Hall in his Extra 300, the RAAF’s F/A-18 (which arrived a little early and “surprised” many of us 😉 ), Mark Pracy in Jet Ride Australia’s L-39, the incredible Yak-3U from Team Steadfast, flown by James Crockett, Paul Bennet, Glenn Collins and Glenn Graham in formation as the Sky Aces in their Pitts Specials and, to close the day’s flying, the RAAF Roulettes. 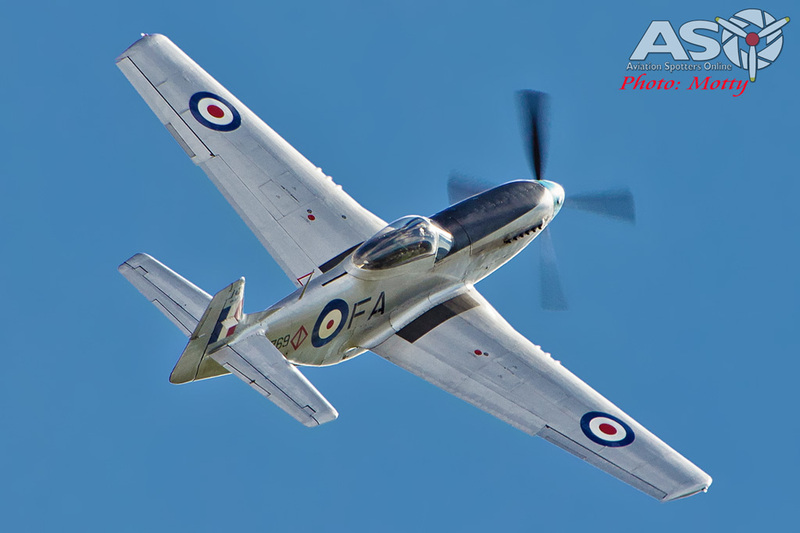 An impressive show by any measure, and the imposing escarpment to the west of the field made for a spectacular backdrop. 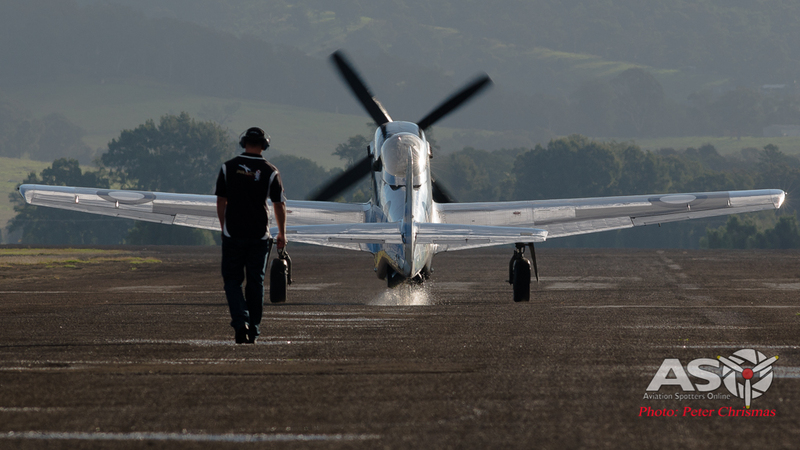 Matt Hall taxying the Mustang back to the parking area. 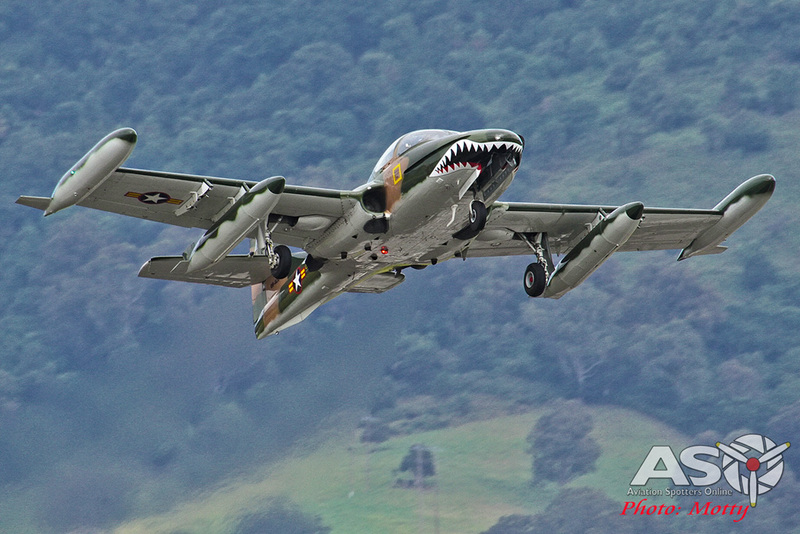 Mustang Flight Australia’s CAC-18 at the hands of Matt Hall. 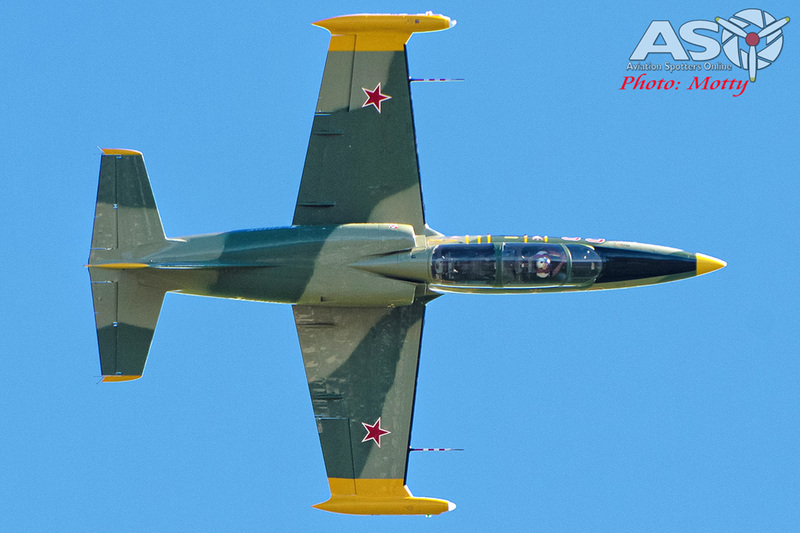 Combat Dragon’s A-37 Dragonfly leaps into the air. 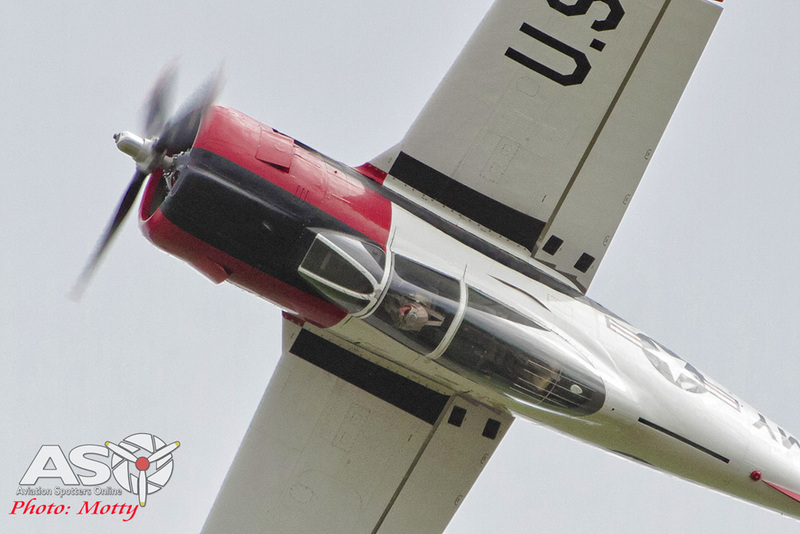 Chad Dunn puts the A-37 Dragonfly into a roll with the gear still coming up. 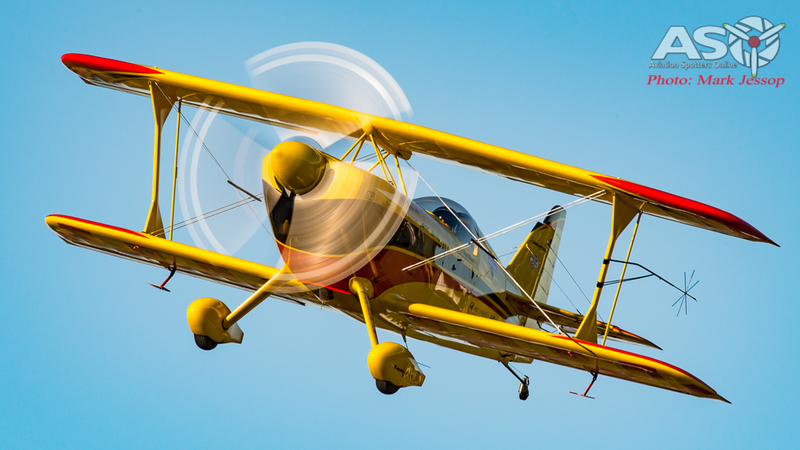 Chris Clark in his Stearman. 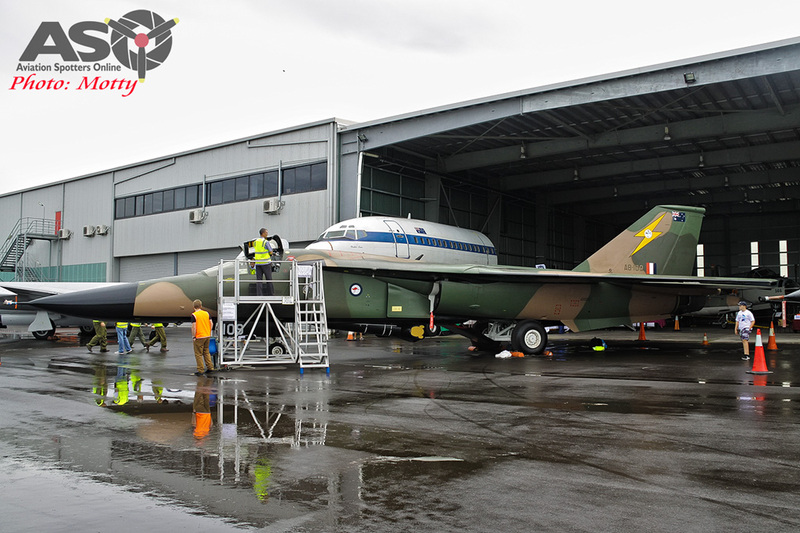 An aircraft with an interesting history. 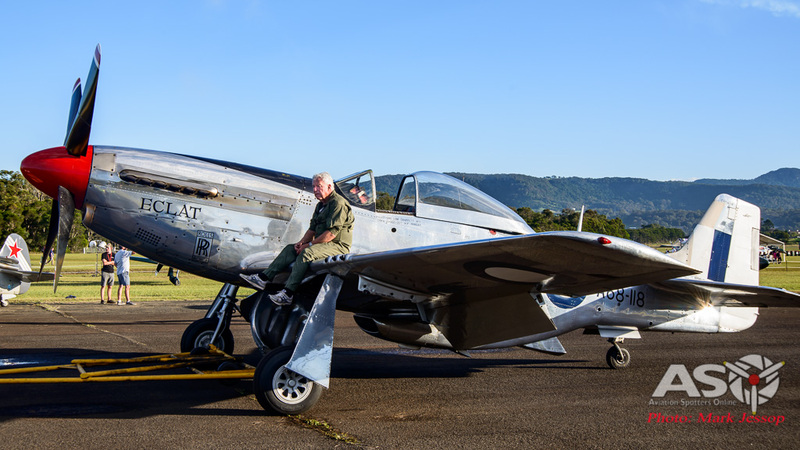 Jeff Trappett heads out in his CAC-18 Mustang. 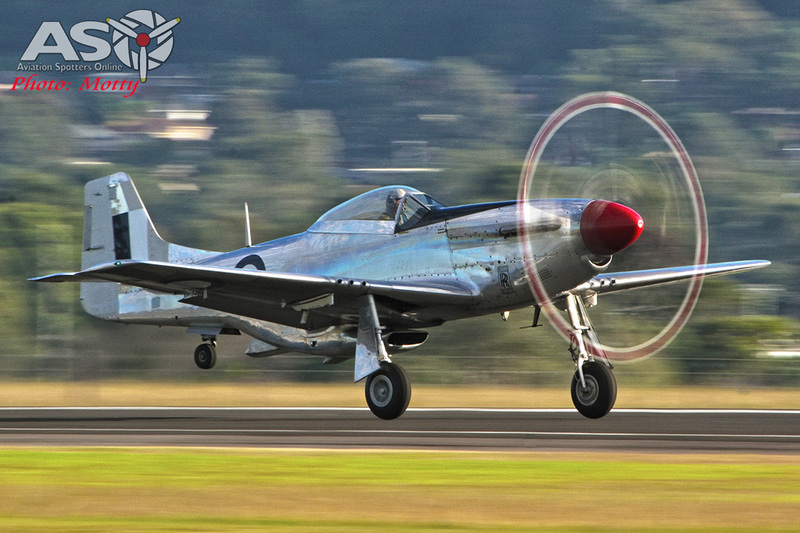 The graceful lines of Temora’s Spitfire. 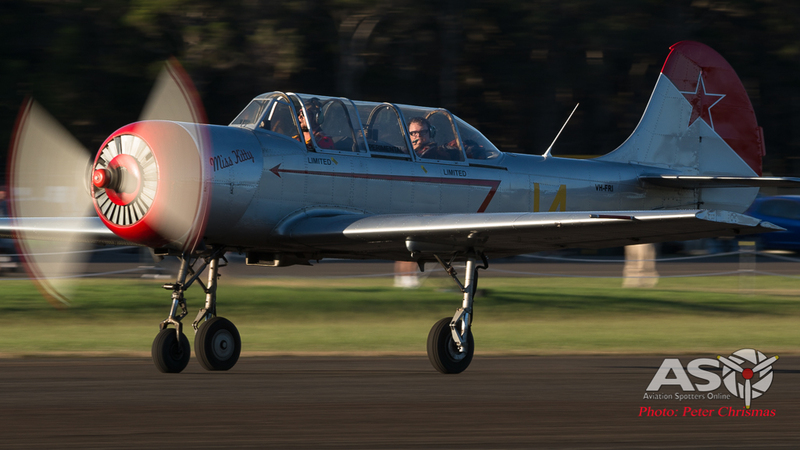 Temora’s pugnacious Boomerang, flown by Matt Denning. 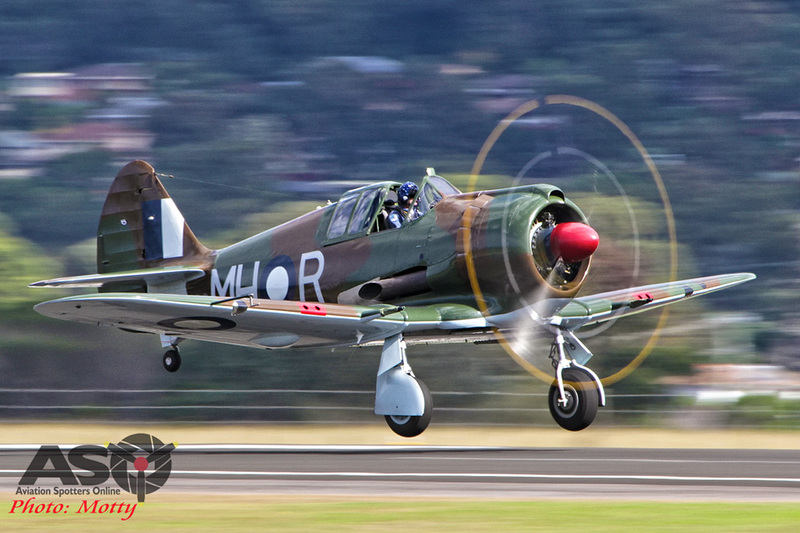 Glenn Collins beginning his display in the Wirraway. 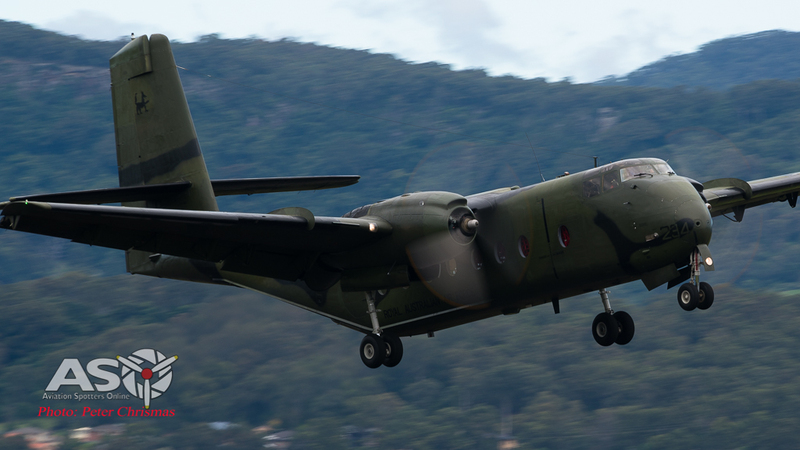 Dark skies can still make for interesting lighting. 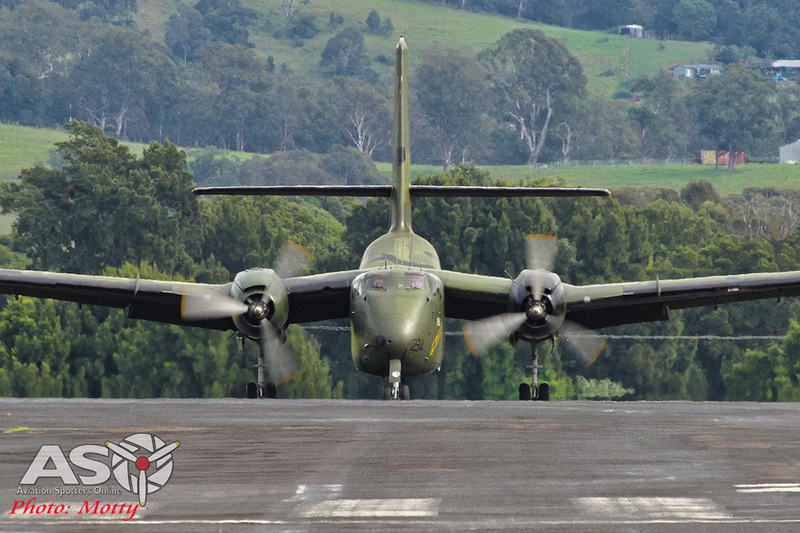 Sunday’s display followed a broadly similar flow with the notable addition of the mighty C-17 Globemaster III from 36 SQN at Amberly and an AP-3C Orion from 10 SQN in Adelaide thanks to the RAAF. 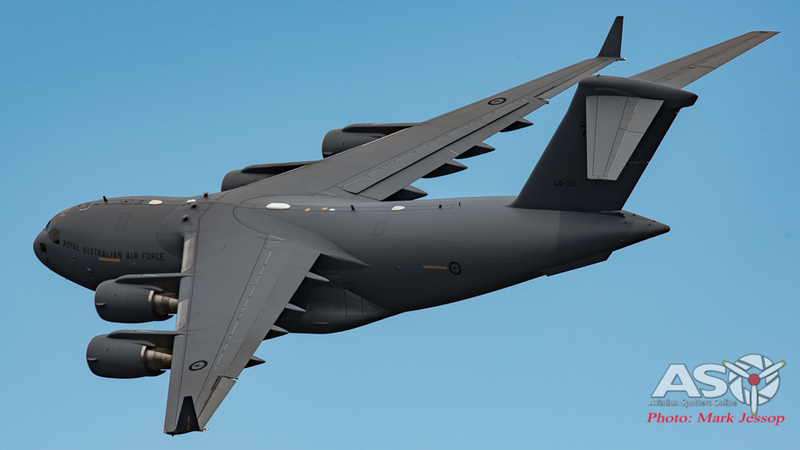 The RAAF’s huge C-17 Globemaster III from 36Sqn at Amberly. 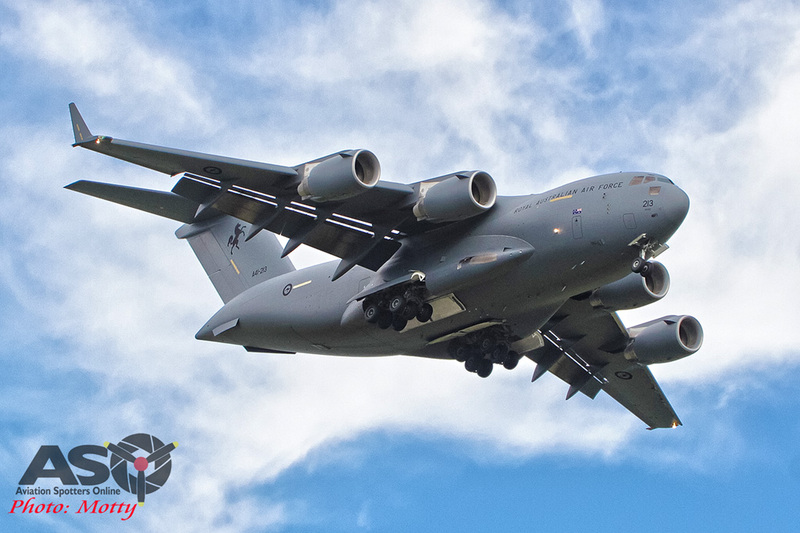 The C-17 is a surprisingly nimble aircraft for its size. 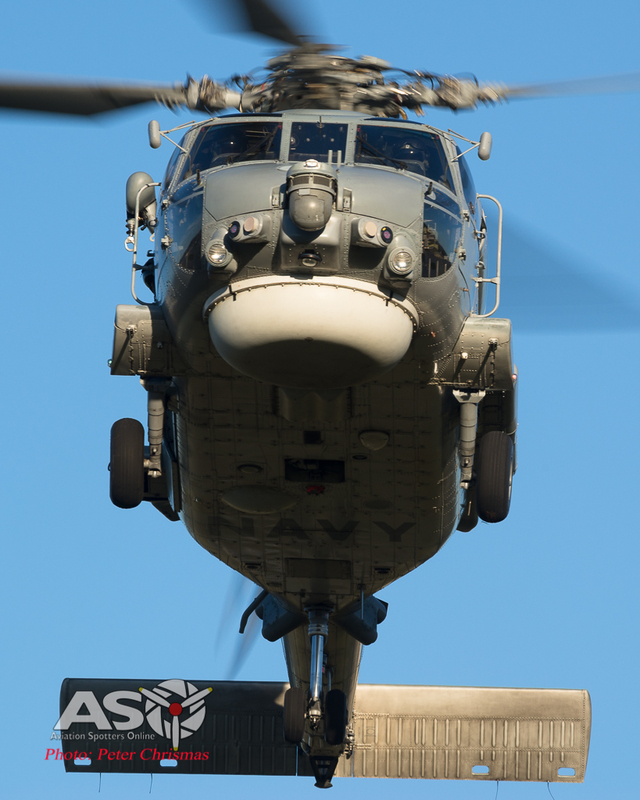 The Orion shows off its weapons bay. The Russian Roolettes warming up for their show. The opening split of the Roolettes routine. 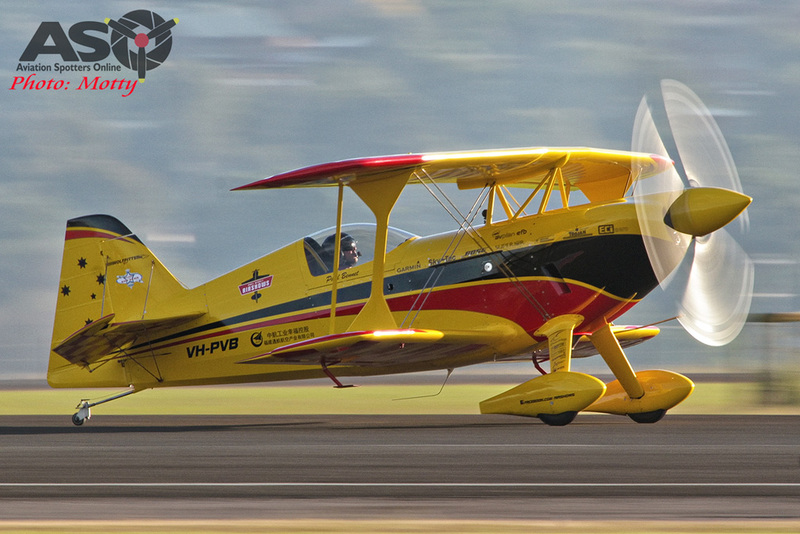 The spectacular start to Paul Bennet’s routine. 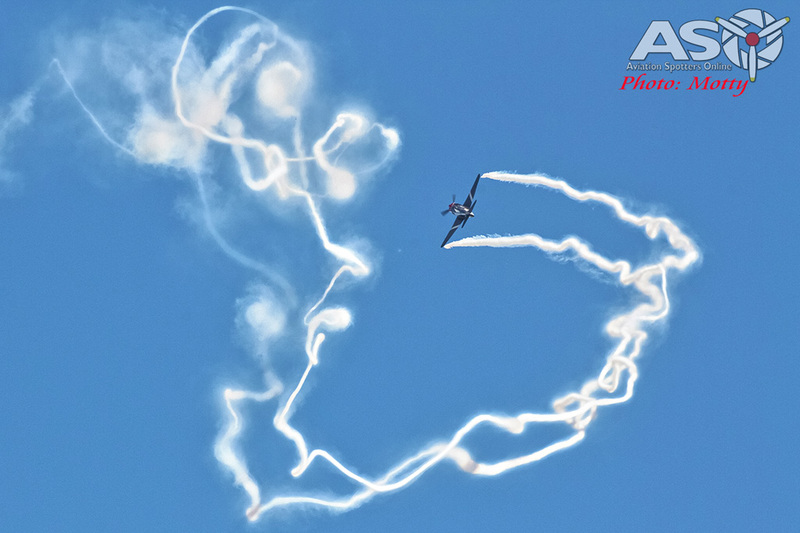 Paul Bennet’s low level aerobatics always impress. 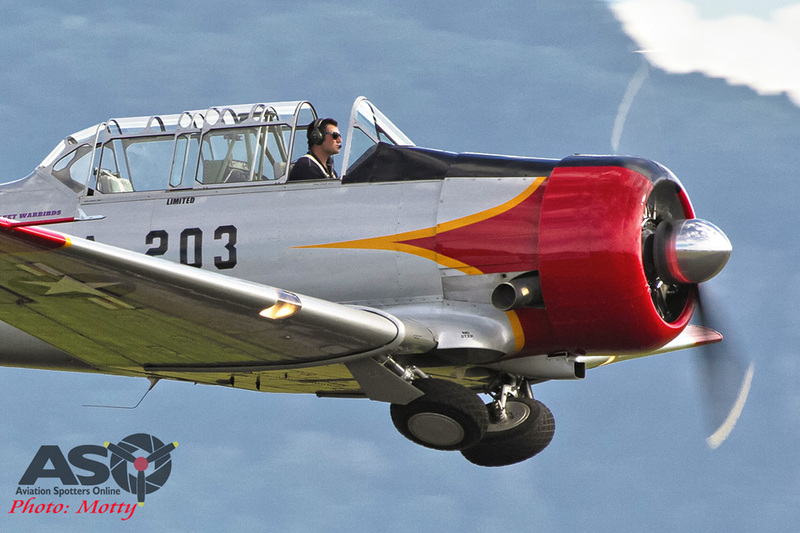 Tim Dugan in Fleet Warbird’s beautiful T-6. 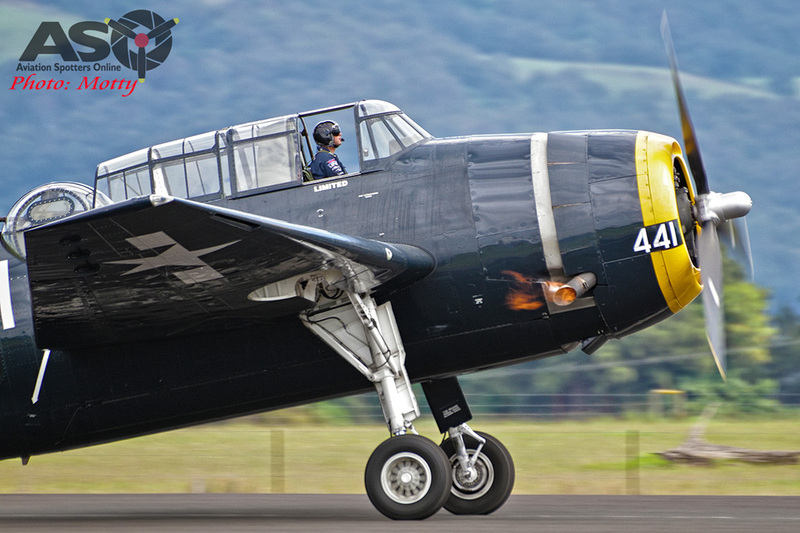 The largest single engined aircraft of WWII, the Grumman Avenger. 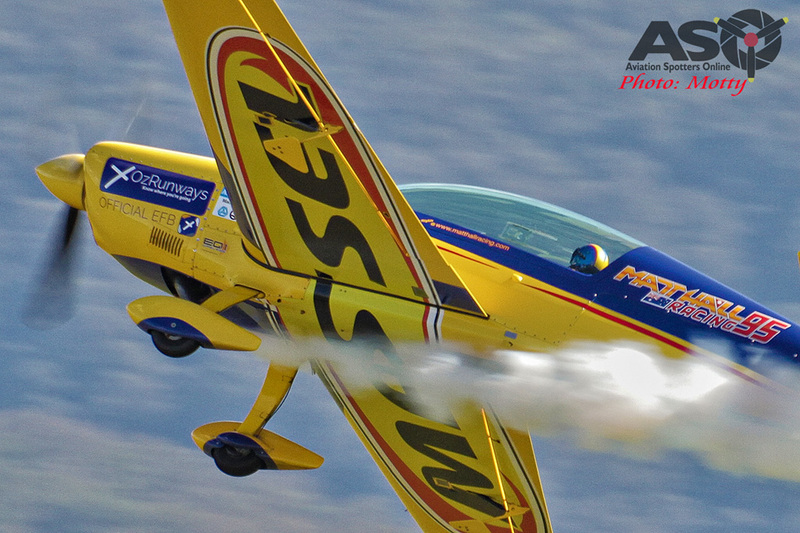 The Avenger breathes fire as Paul Bennet throttles back after landing. 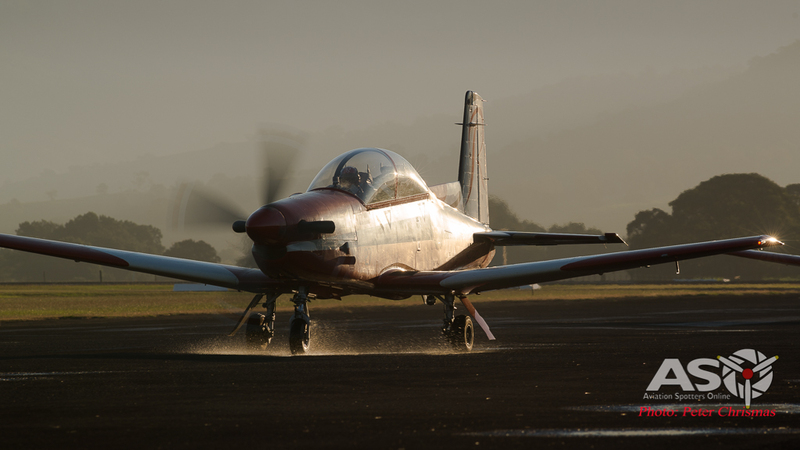 Matt Hall in his Extra 300. 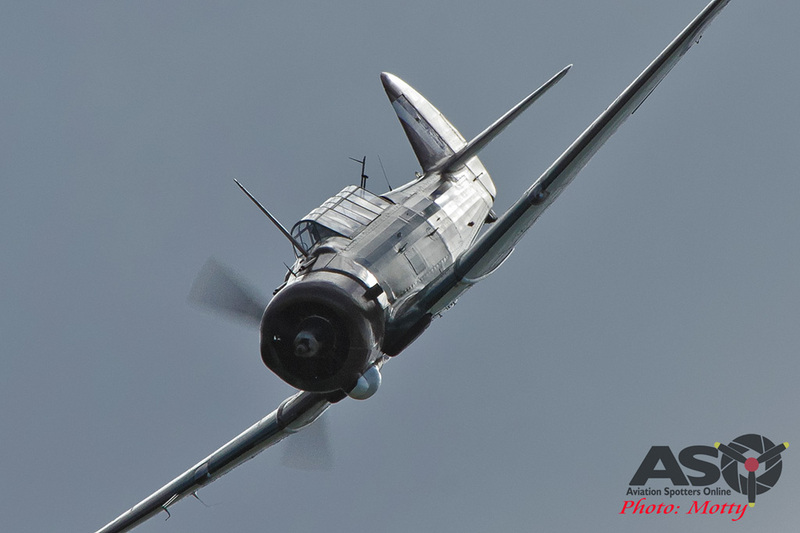 There were, unfortunately, some no-shows and cancelled displays, the most notable of which was, obviously, the Focke Wulf FW-190 from Albury. 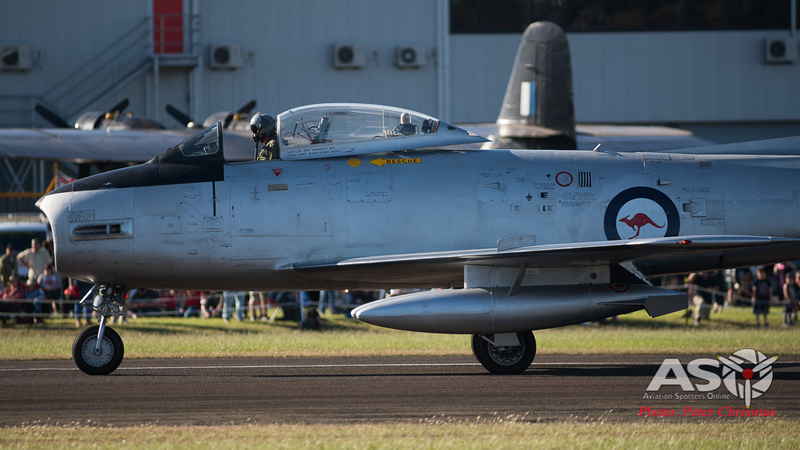 Billed as a major attraction as its public debut at an Australian airshow, the chance to see this unique warbird for the first time was keenly awaited by many (myself included) but unfortunately, due to technical issues when departing Albury, it was unable to make it to the show. 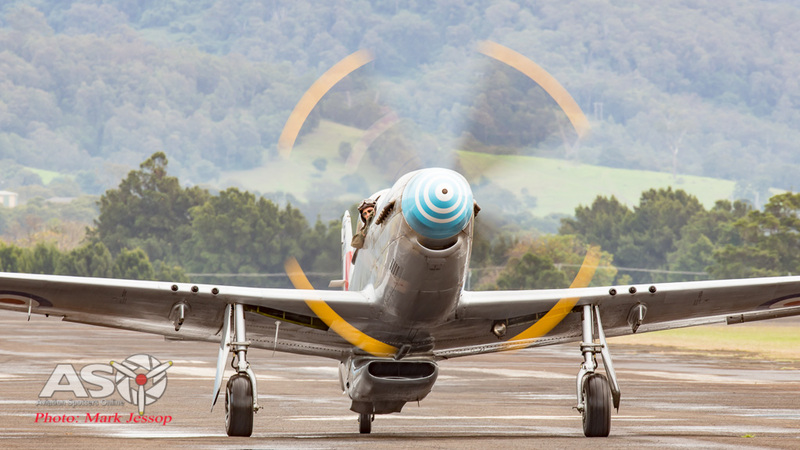 Another was Judy Pay’s rare P-40F Kittyhawk and, although present at the show, Jeff Trappett was unable to fly his CAC Sabre due to water on the runway on Saturday and strong winds on the Sunday (which affected some of the other displays as well) and the RAAF Roulettes had to cancel their end of show display due to turbulence on Sunday afternoon. 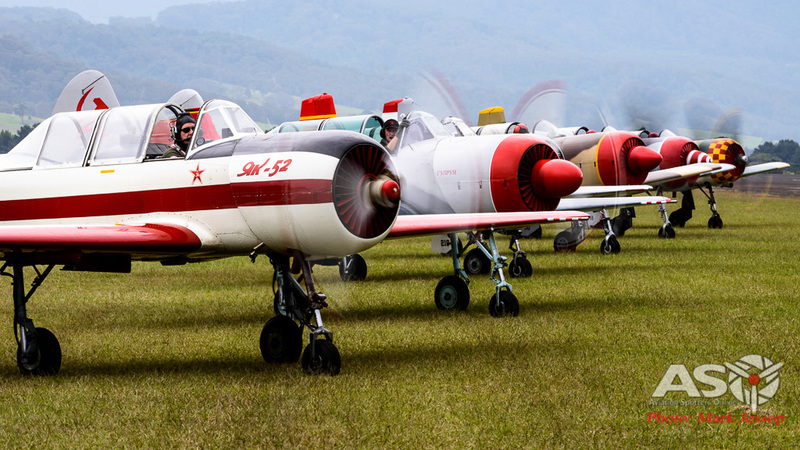 While these were obviously disappointing, such omissions are an unfortunate risk for any show and the safe operation of these rare and high performance machines and their crews must always be the highest priority for all concerned. 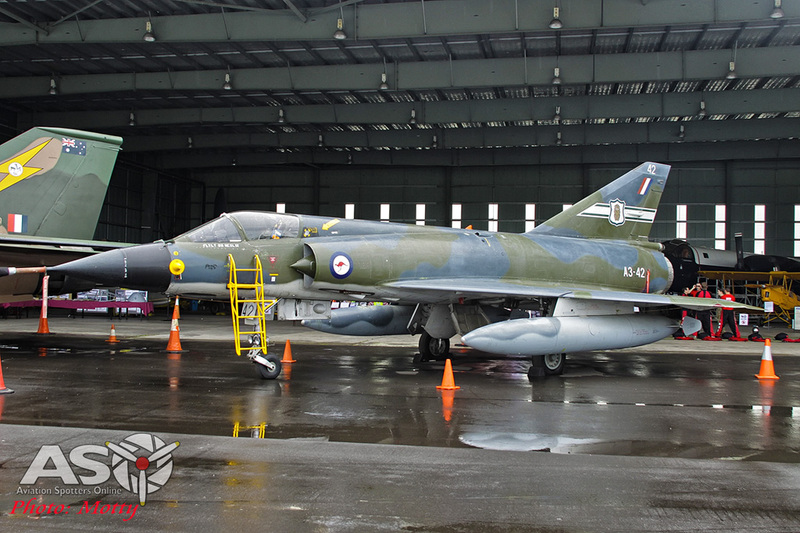 Although Jeff Trappett was unable to fly his CAC Sabre on both days, he brought it out for a fast taxt run for people to see. 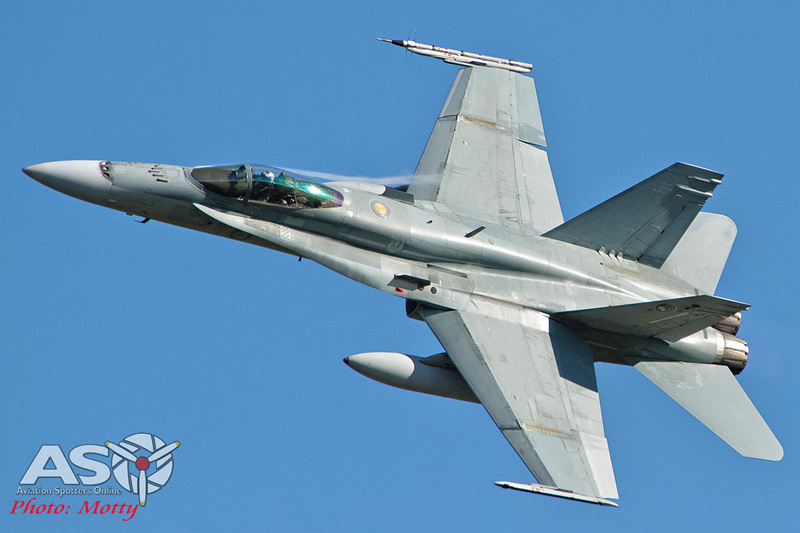 The Hornet moving at the speed of heat. 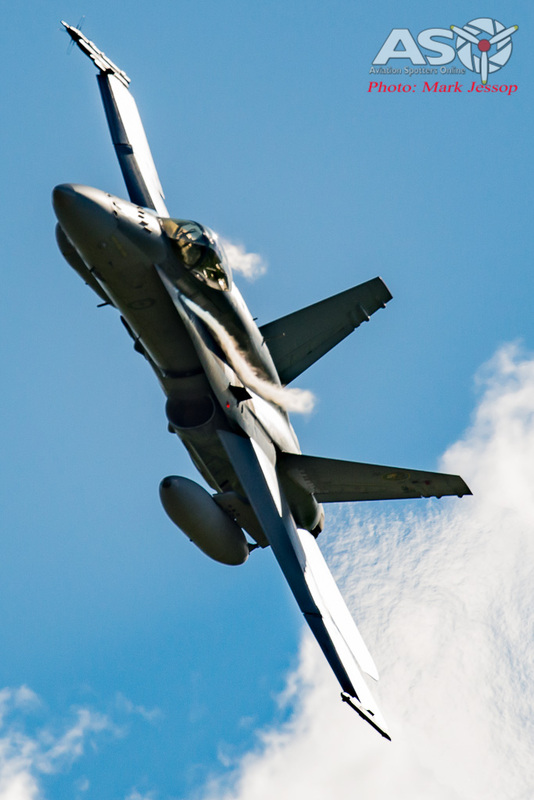 The Hornet pulls into the vertical for its finale. 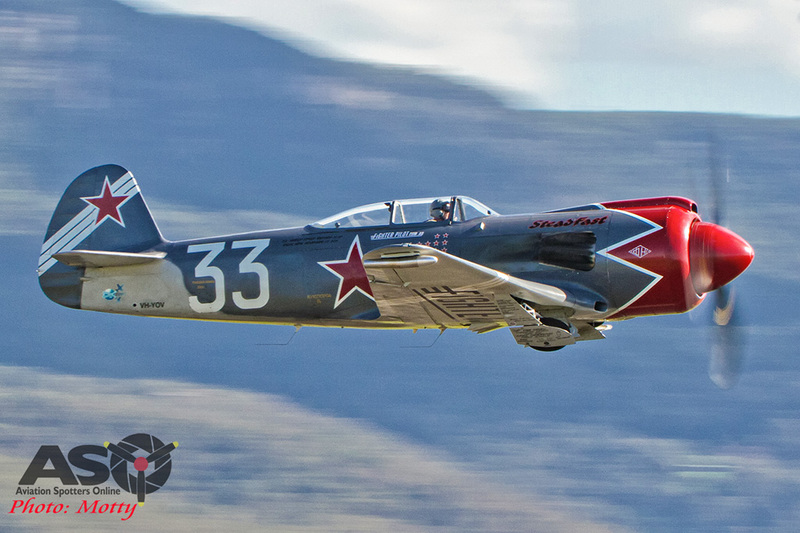 Mark Pracy getting airborne in his L-39. 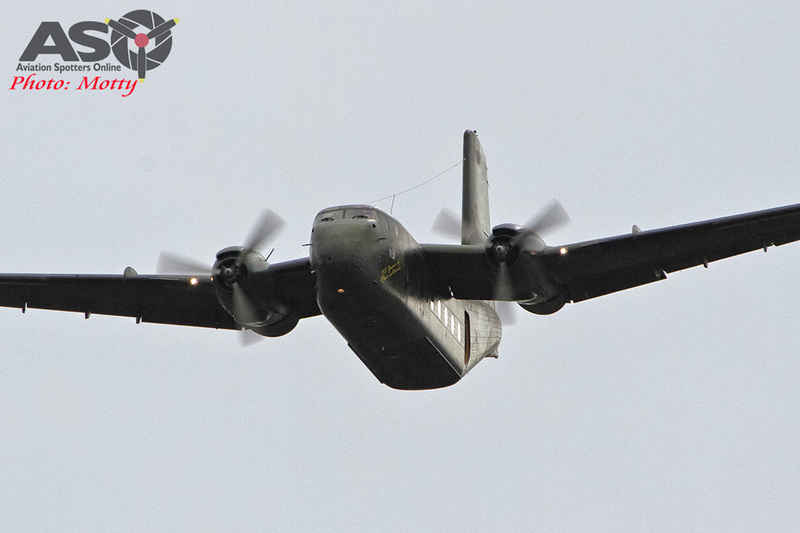 The attractions weren’t all in the air either, with plenty of aircraft on static display and various organisations and vendors around the grounds. 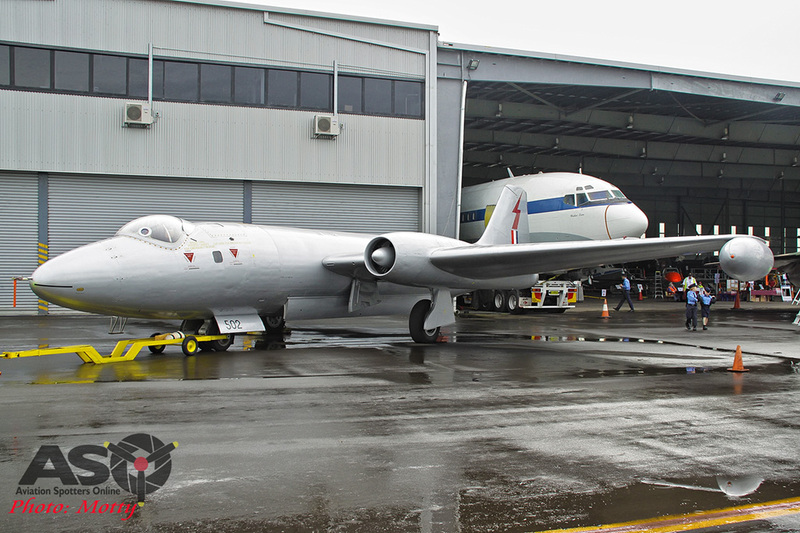 As Albion Park is the home base of the Historic Aircraft Restoration Society (HARS), they naturally had many of their aircraft out and on show for the public to get up close and personal with, including one of their Neptunes, the Catalina, DC-4 (which is progressing well towards flying), the second Caribou, C-47s, Canberra, F-111, Mirage, Sabre, Vampire, Connie (when she wasn’t flying) and, of course, their ex-Qantas 747 Jumbo. 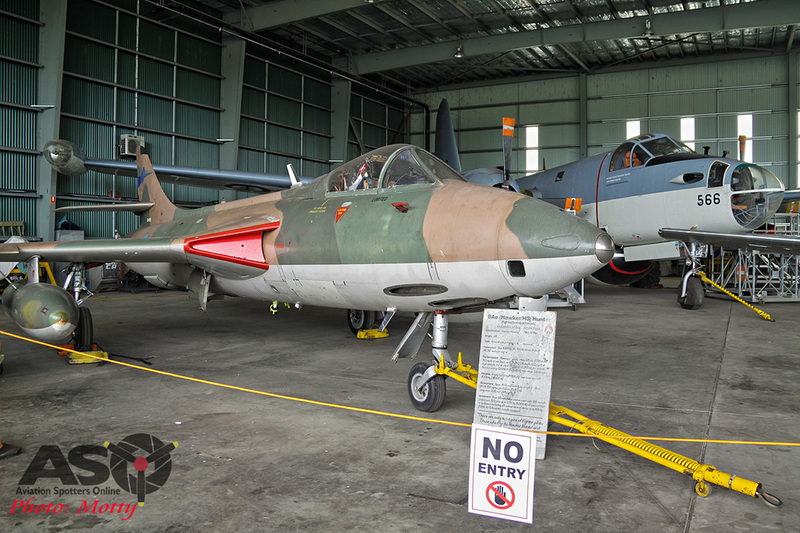 Part of the impressive lineup of HARS exhibits which greeted visitors to the show. 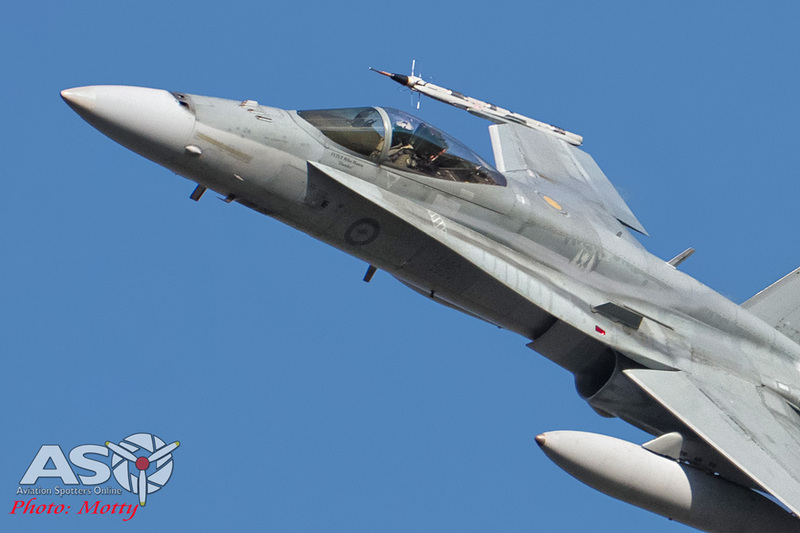 Where else would you see a Singaporean Hunter with a French Neptune? 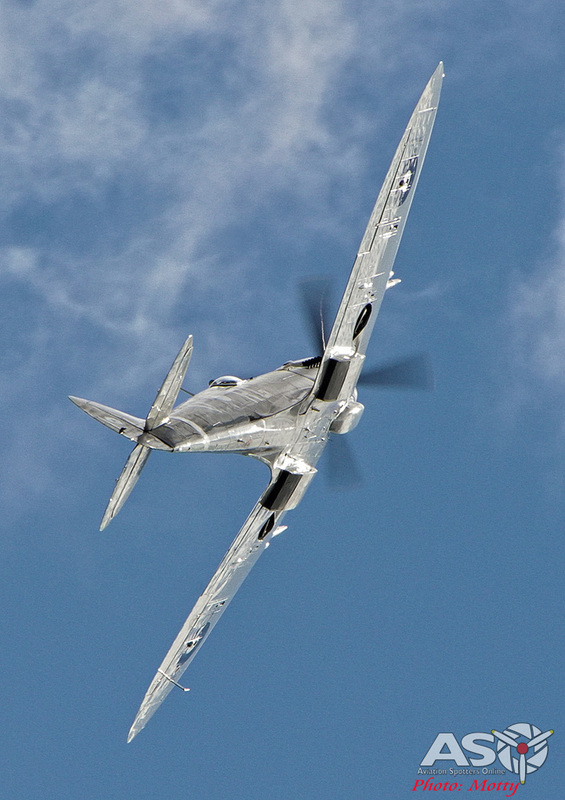 HARS’ might “Pig”. 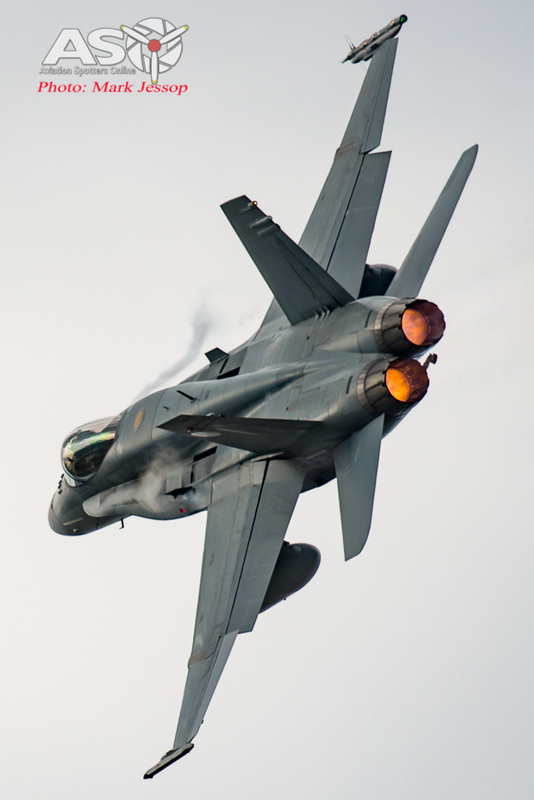 F-111C A8-109. 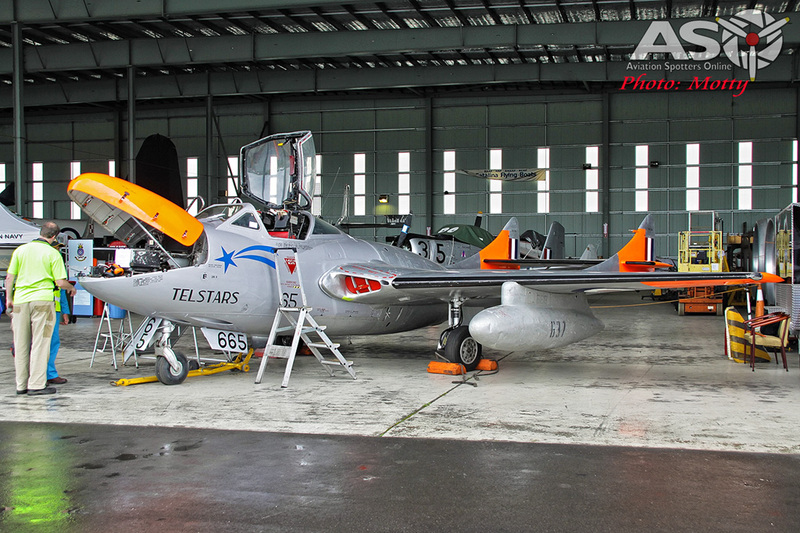 HARS’ two seat Vampire in Telstars aerobatic team colours. 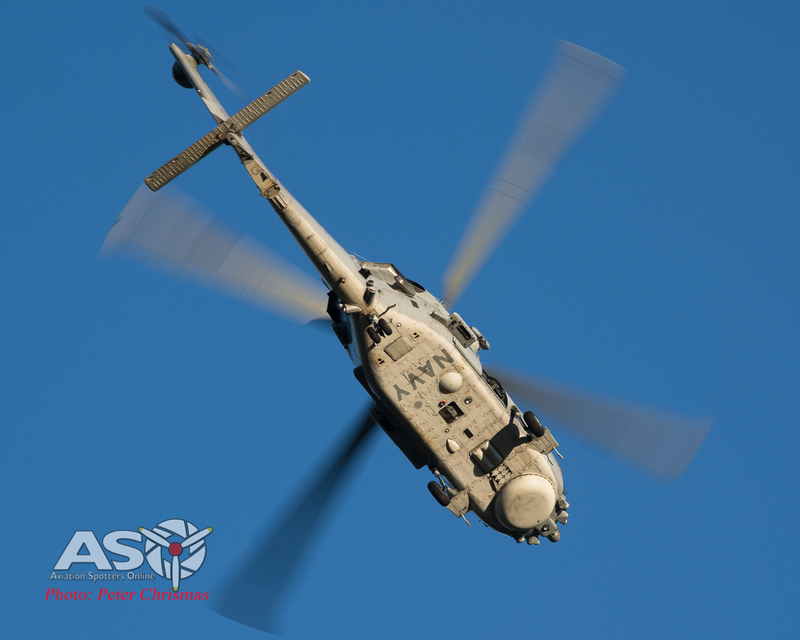 The Army and Navy had a Blackhawk, Seahawk and MRH-90 on show, along with the Police Air Wing EC-135. 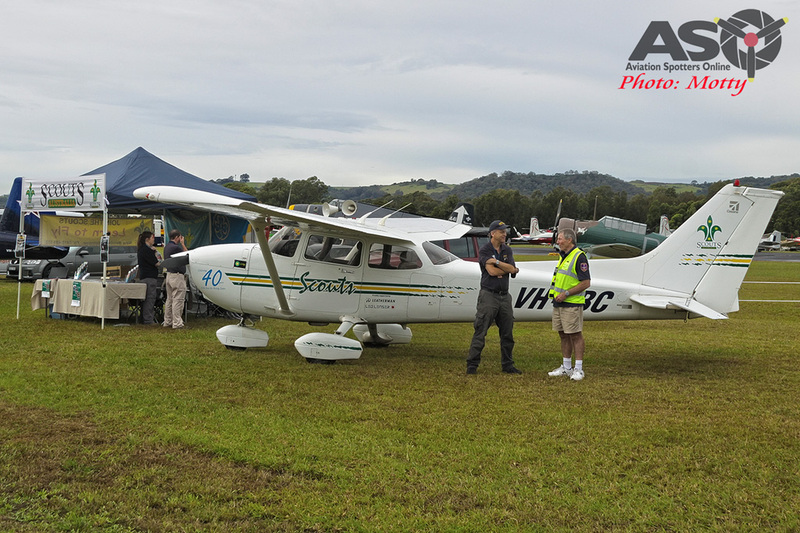 Cirrus Aircraft had a pair of their machines, Scouts Australia NSW’s unique Air Activities Centre had one of their Cessna 172s and many of the teams actually flying at the show also had stalls where customers could pay for the opportunity to go for an adventure flight with them, whether it was a Yak-52, Harvard, Trojan, Mustang, L-39, A-37 or the Yak-3U from Team Steadfast, and there were helicopter joy flights coming and going all weekend too. 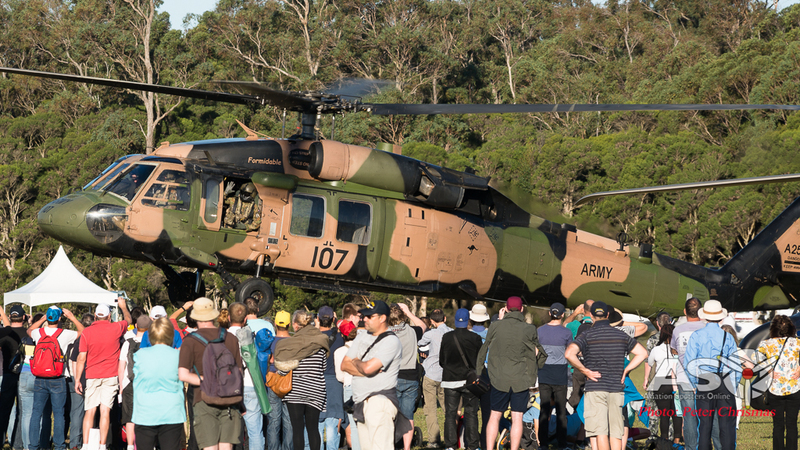 Army Blackhawk lifts off to the delight of airshow spectators. 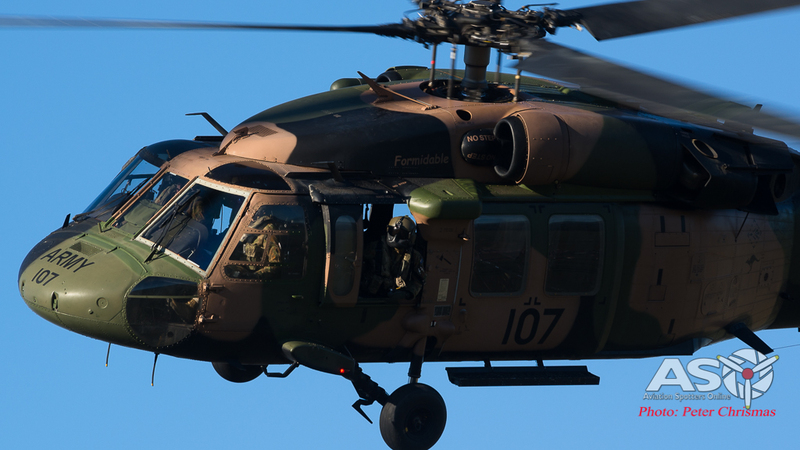 Army Blackhawk departs the show. 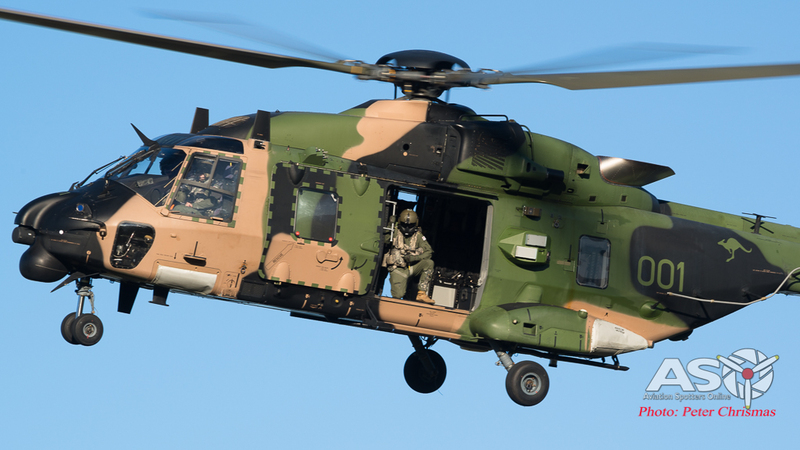 MRH 90 from the R.A.N. 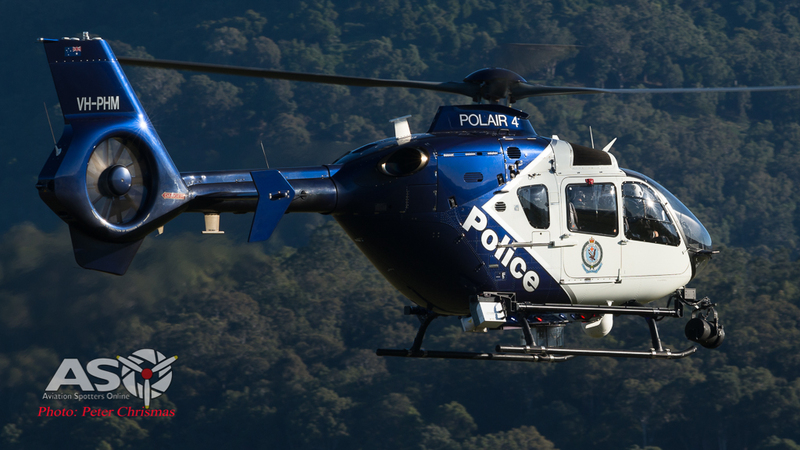 NSW Police Air Wing EC-135. 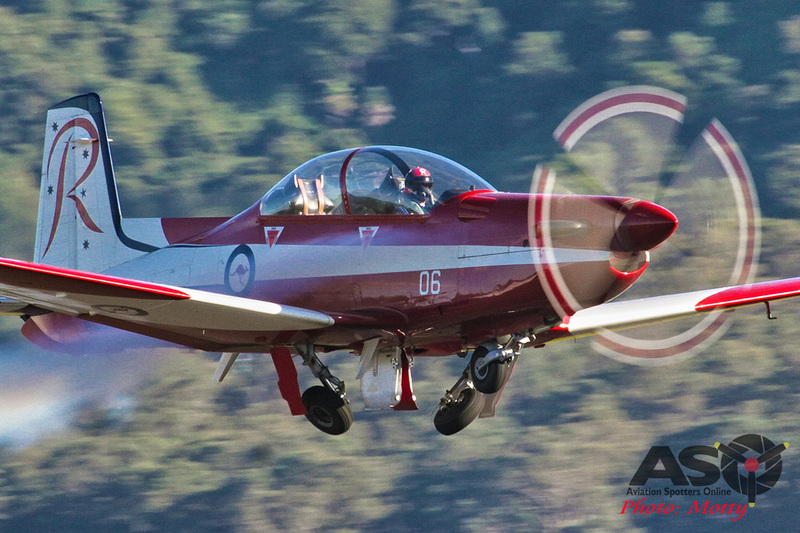 Scouts Australia, NSW Air Activity Centre display. There was also something for every interest in the vendors stalls with aviation books & magazines, artworks, calendars, memorabilia, souvenirs, models, drones, radios, aviation and aircraft hardware and equipment, flight simulators, clothing and many others as well as information booths for many organisations such as the Civil Aviation Safety Authority (CASA), Air Services Australia, Australian Warbirds Association Limited , Antique Aeroplane Association of Australia, Recreational Aviation Australia and more. 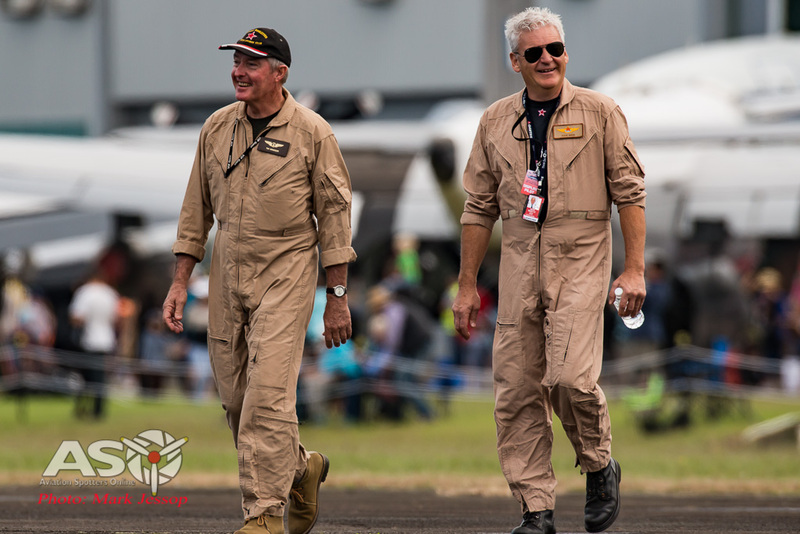 There was also an opportunity for the public to meet and greet many of the pilots displaying at the show throughout the weekend and hopefully spark and interest in aviation amongst some of the younger visitors. 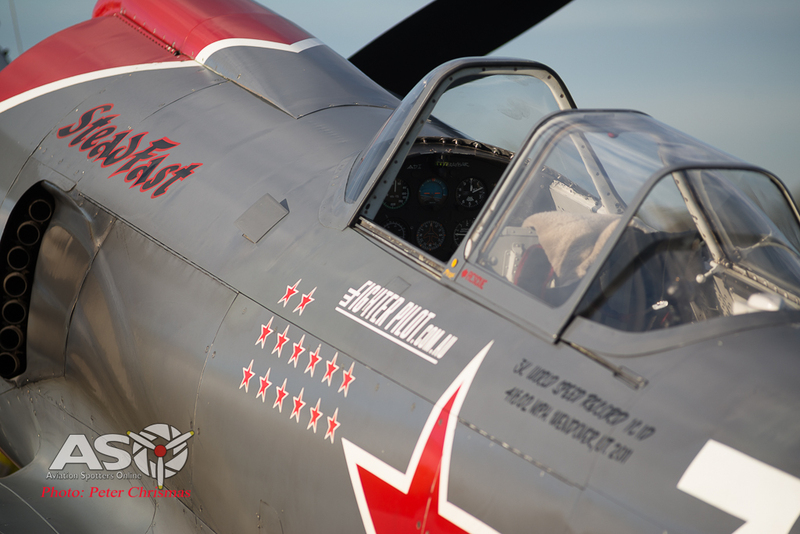 Yak-3U, Steadfast is an impressive beast. 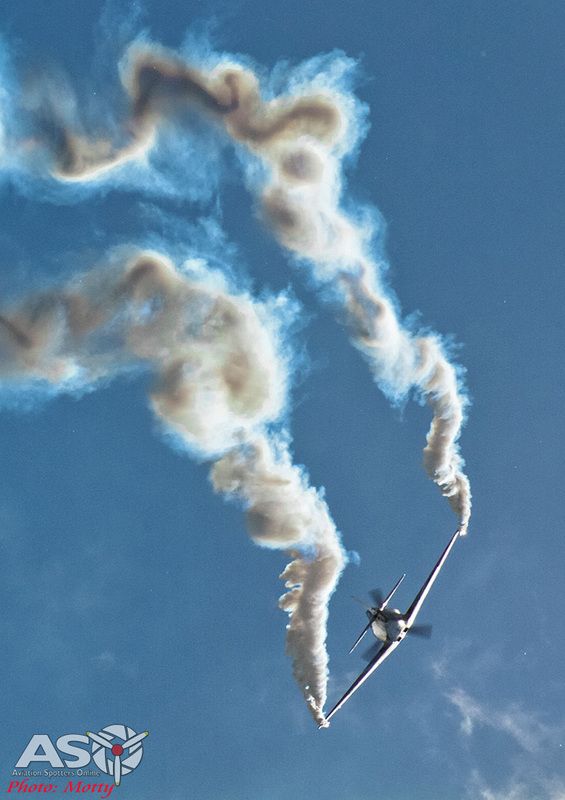 Steadfast’s wingtip smoke generators made for some spectacular effects during its routine. 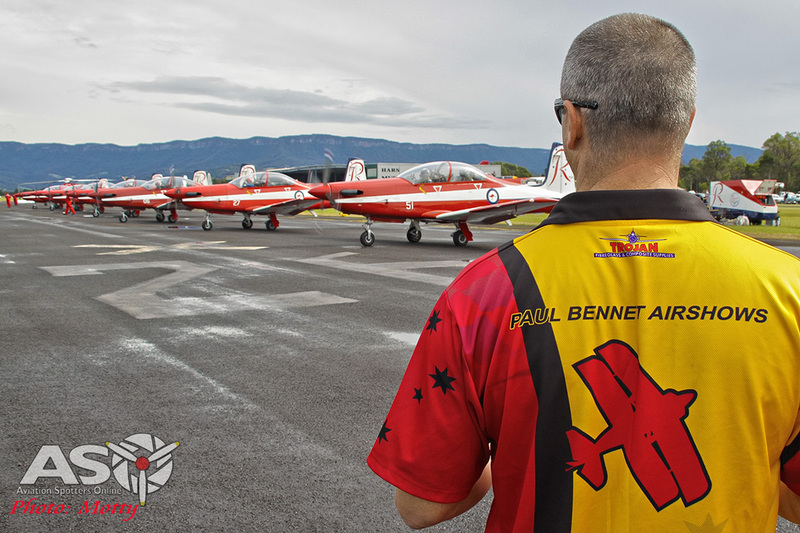 Paul Bennet, Glen Collins and Glenn Graham of the Sky Aces team head out for their show behind the RAAF Roulettes. 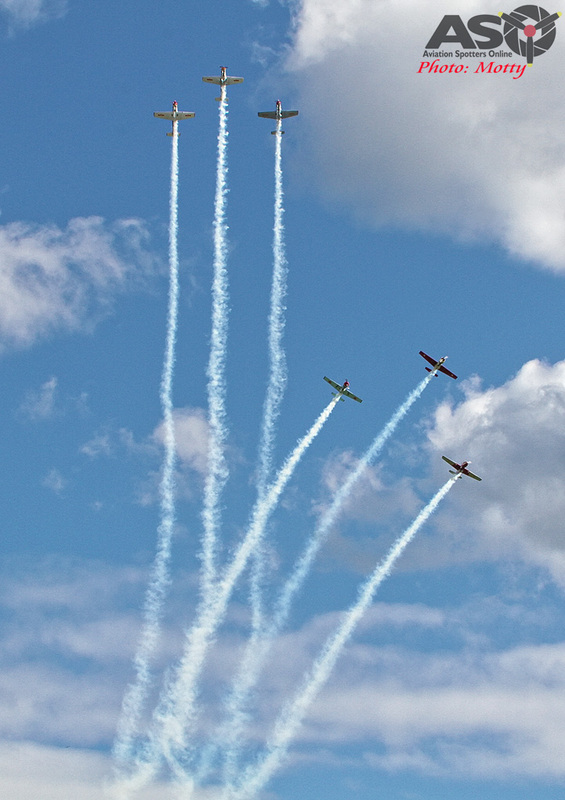 The Sky Aces begin their dynamic routine. Paul circles the two Glenns as they make a mirror pass. 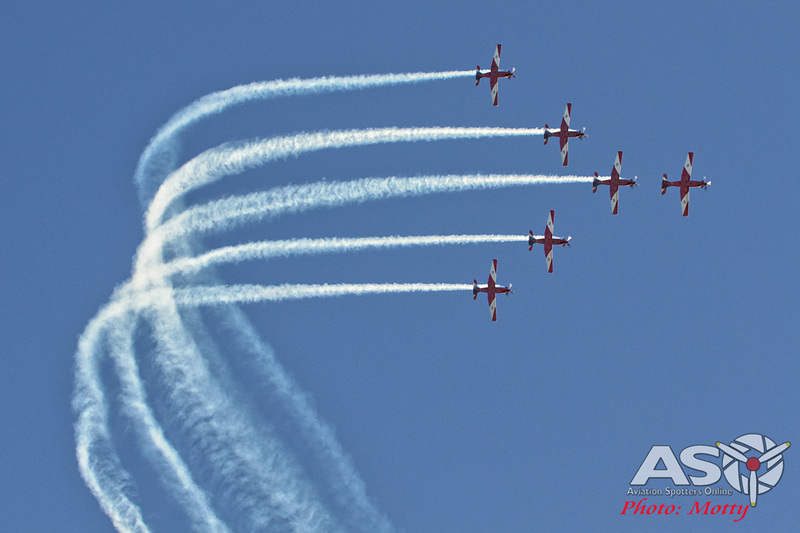 The RAAF Roulettes get airborne for their display. Taxy back at the end of the show. 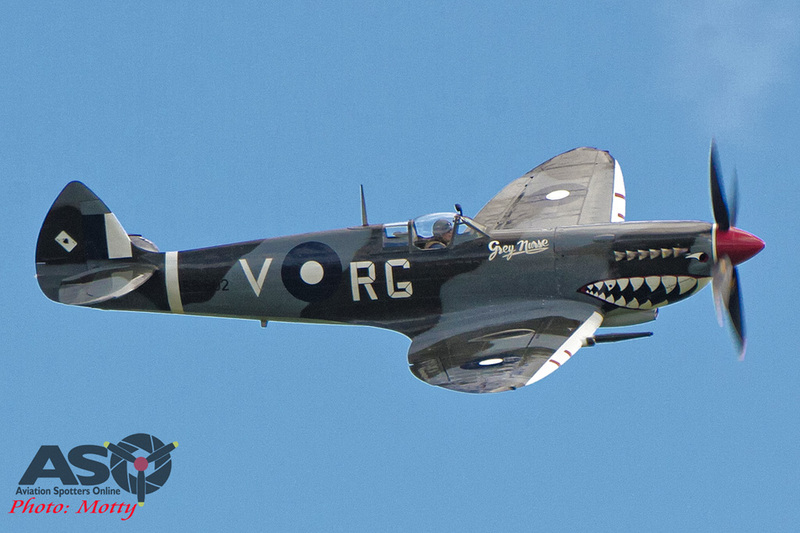 A witty and very informative commentary for the weekend’s activities was provided by Peter Anderson, Grant McHerron and Steve Visscher who entertained us all with many very interesting tales and insights into the histories and backgrounds of the various aircraft on display. 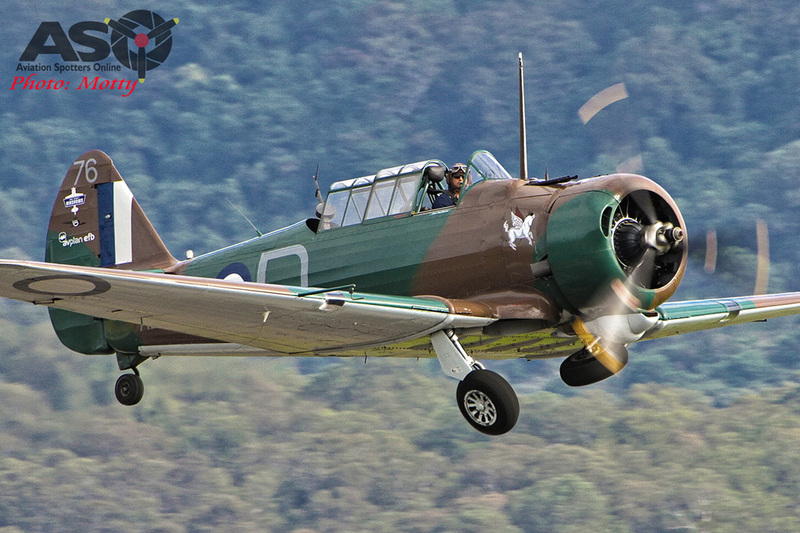 Such as the fact that the Stearman flown by Chris Clark had been used to help train the famous Tuskegee Airmen (The US’ first African-American pilots) in the United States during WWII, or how Australia developed the ability to manufacture the cannons used for the Boomerang fighter by reverse engineering a “souvenired” example brought home by a returning serviceman and many other anecdotes. 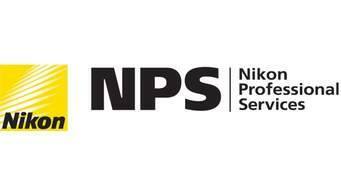 It made for an interesting and educational background to the weekend’s activities without being overpowering or distracting as can be the case at some shows. 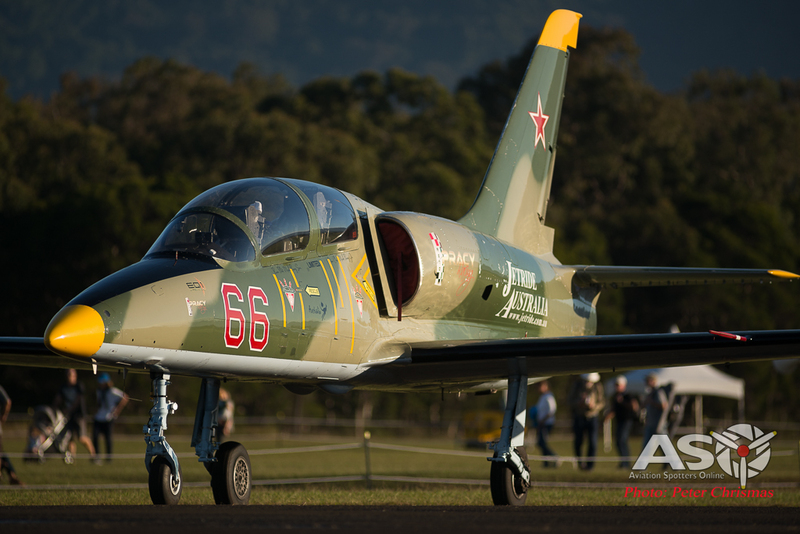 A major event like this would obviously not have been possible without the support and participation of a great many sponsors such as Shell Aviation (who provided the fuel for the weekend), Oz Runways, the Flight Sim Store, Bose, QBE and many others; the owners and operators of all the fantastic machines on show, plus the army of volunteers behind the scenes; so a huge thank you must go out to all of them for persevering with the concept in light of previous attempts and helping to make the weekend the success that it was. 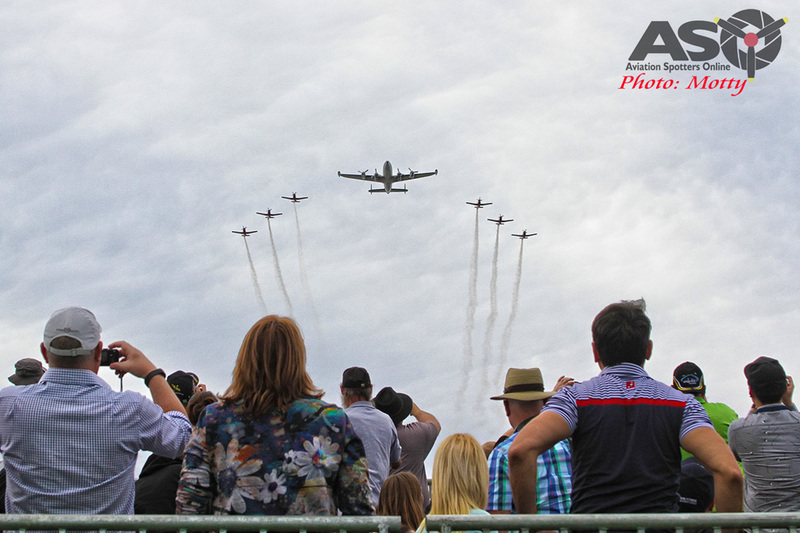 Attendance numbers for the weekend were around 22,000 and Mark and Kerry were able donate $10,000 to local charities thanks to the weekend’s success. 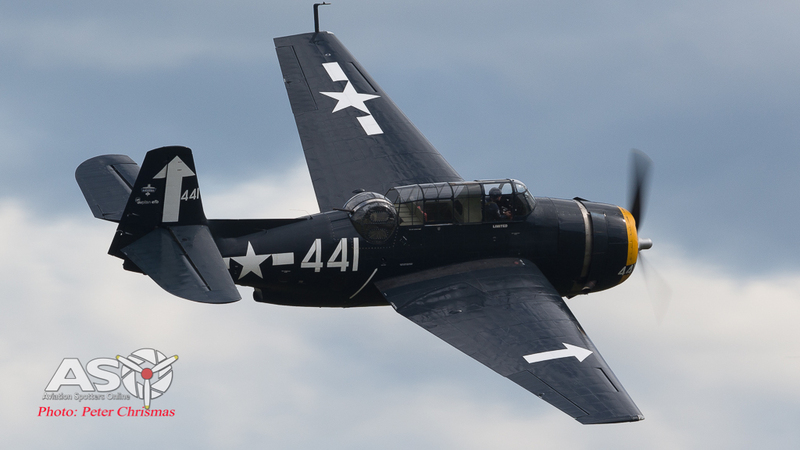 It was great to see the show turn out so well and put on such a wonderful weekend of aviation for young and old, enthusiast and casual observer alike. 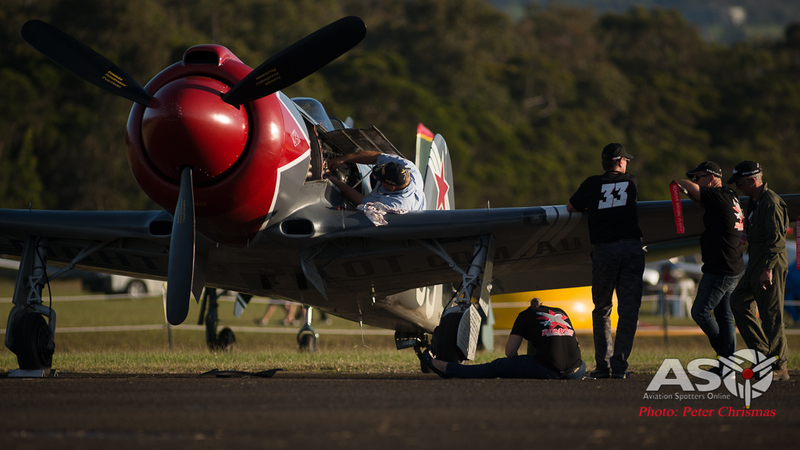 Here’s looking forward to next year’s show already and Wings Over Illawarra becoming a key event on the airshow calendar for years to come. Our thanks to Mark and Kerry Bright and everyone involved for allowing us the access and for putting on such a great show. 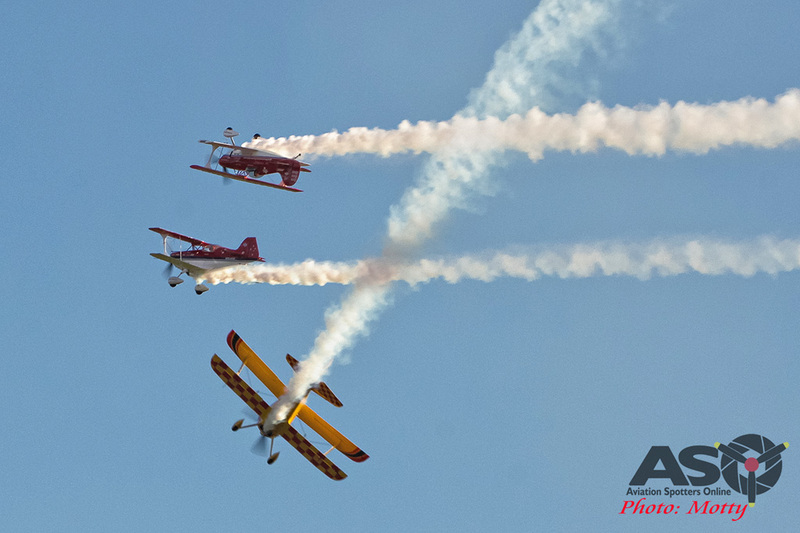 Click HERE to see all of Leigh Atkinson’s photos from the show. 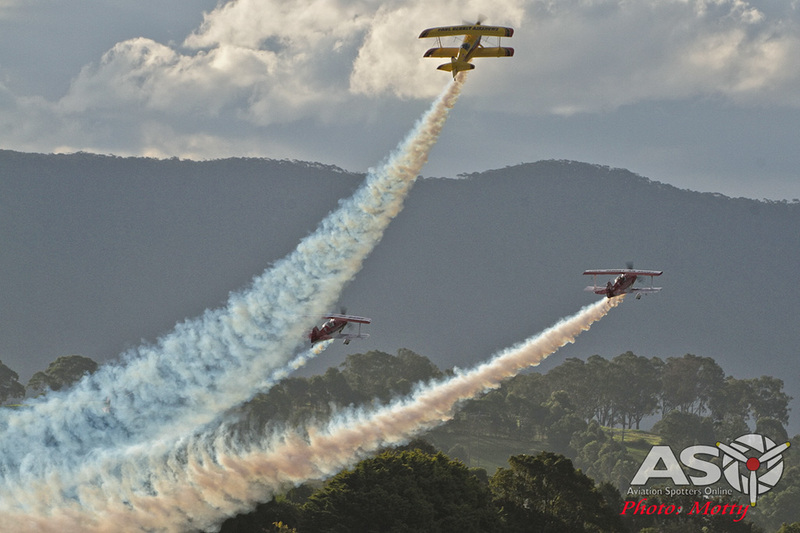 Click HERE to see all of Peter Chrismas’ photos from the show. 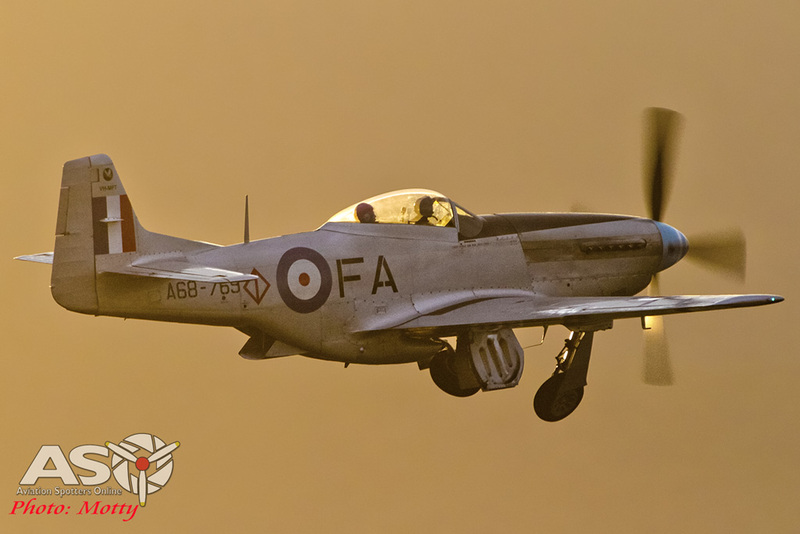 Click HERE to see all of Mark Jessop’s photos from the show. 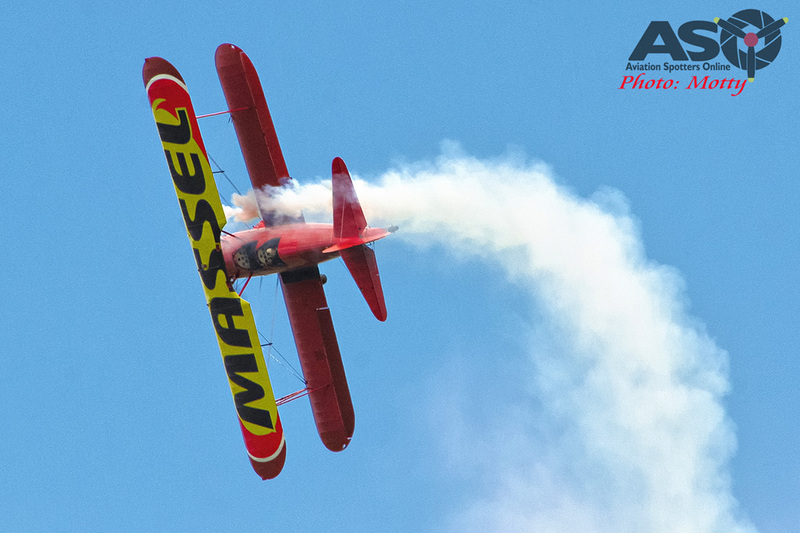 Click HERE to see all of Motty’s photos from the show. 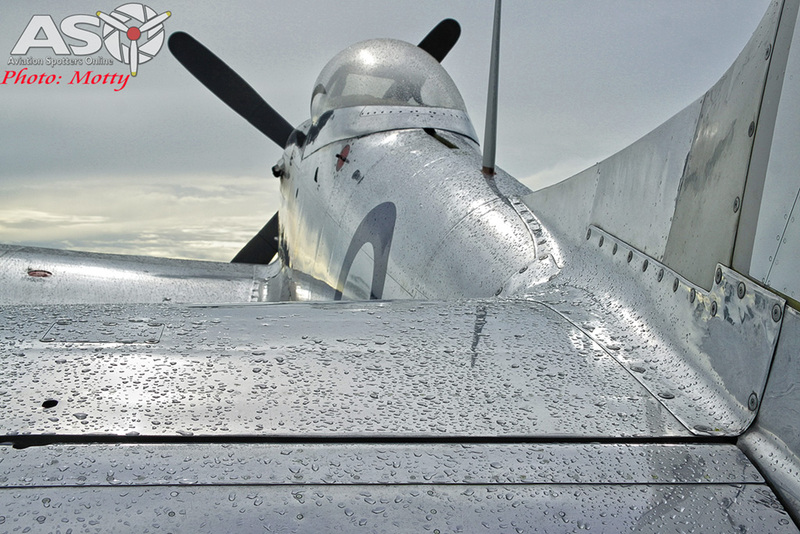 Great Aircraft and great photography. 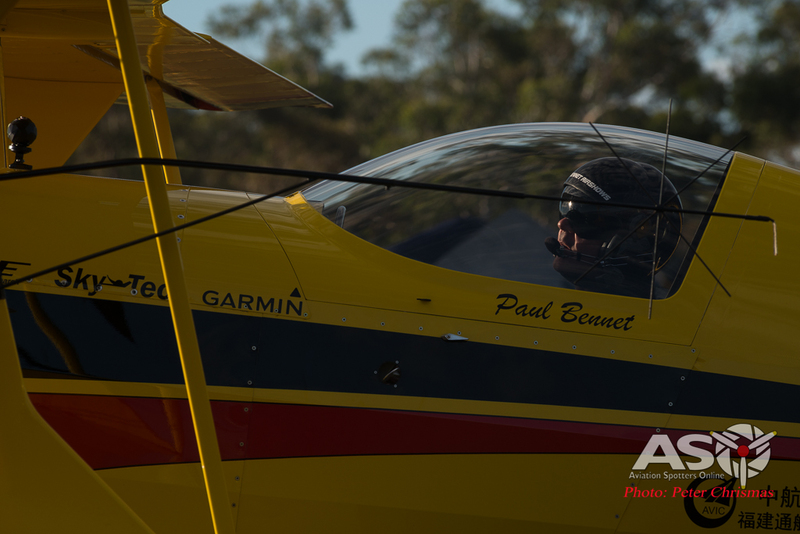 Thanks Peter … the team has done a great job capturing all the action. Thanks for the feedback. Absolutely brilliant, wish I had been there!